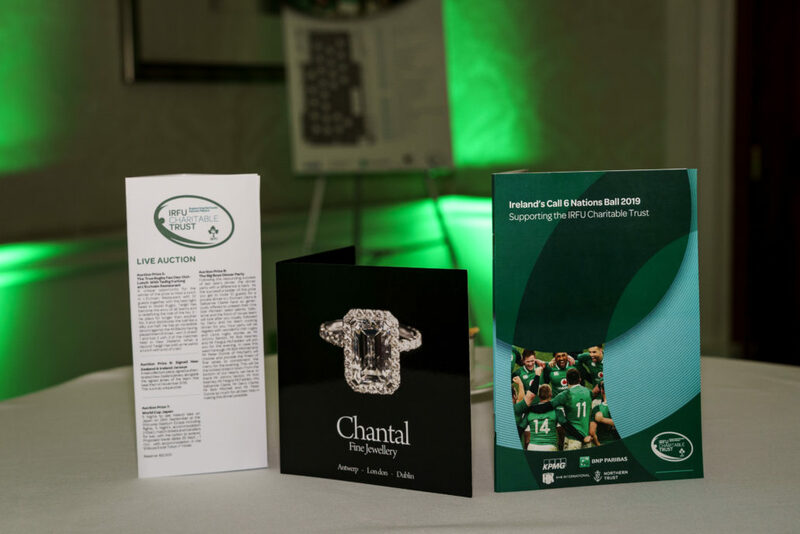 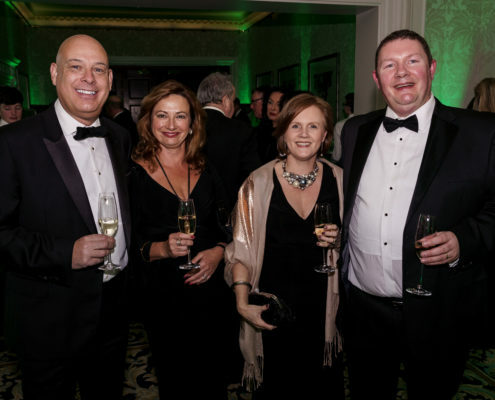 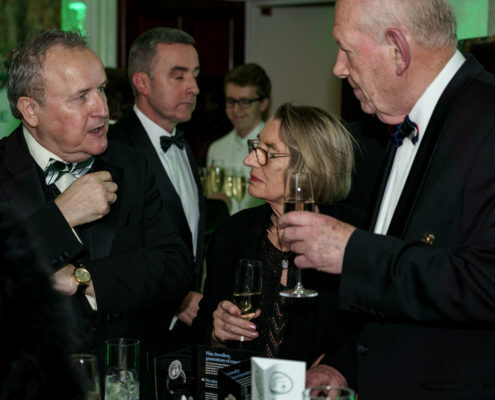 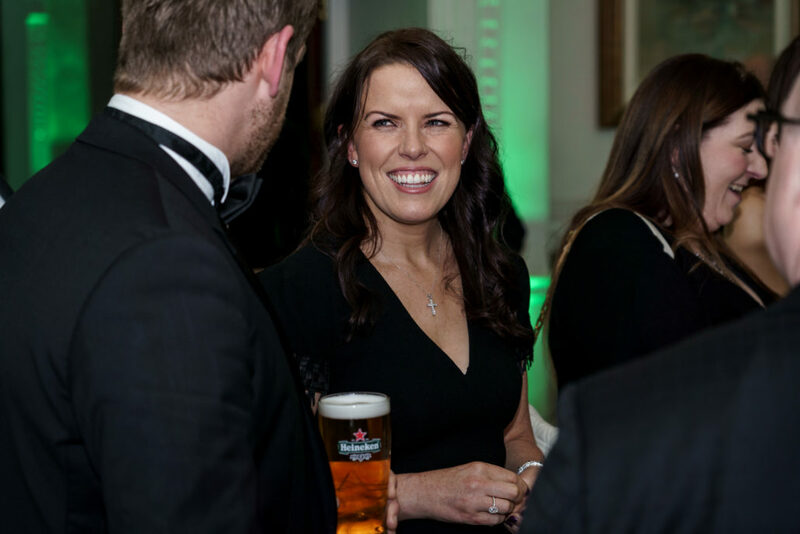 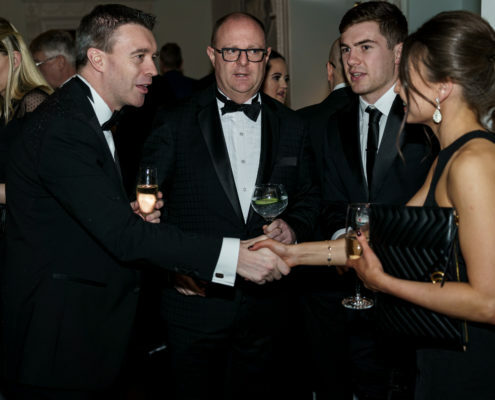 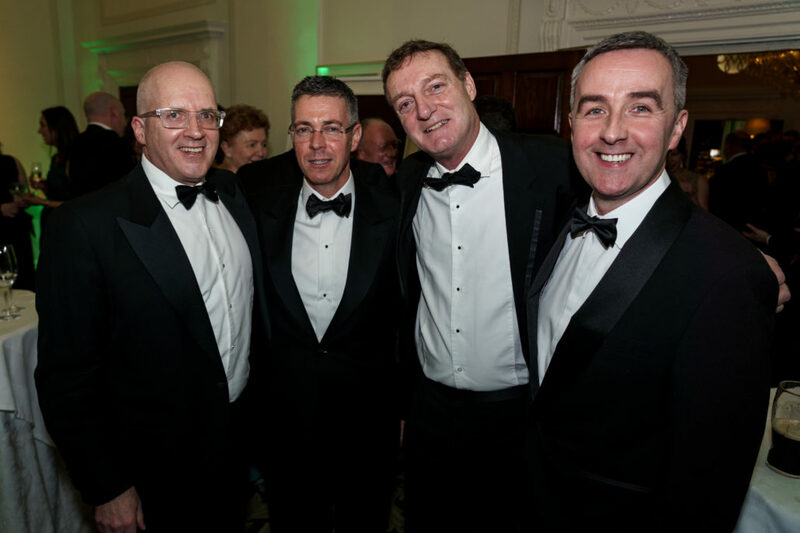 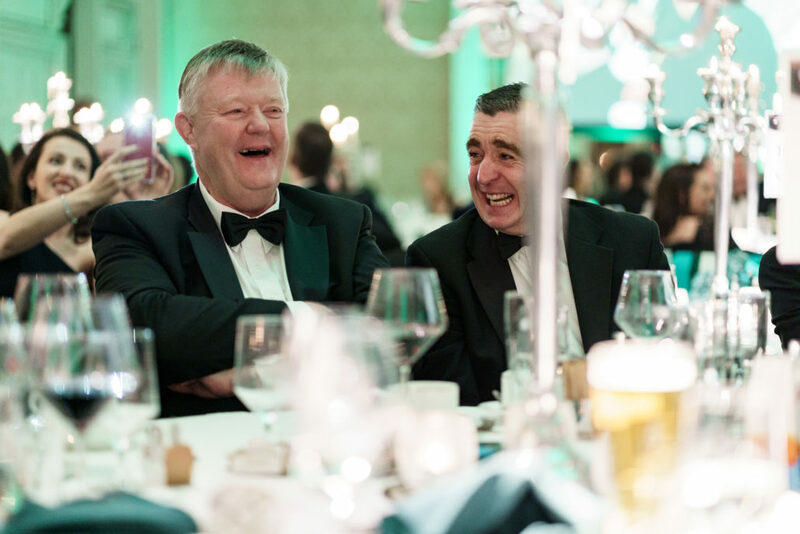 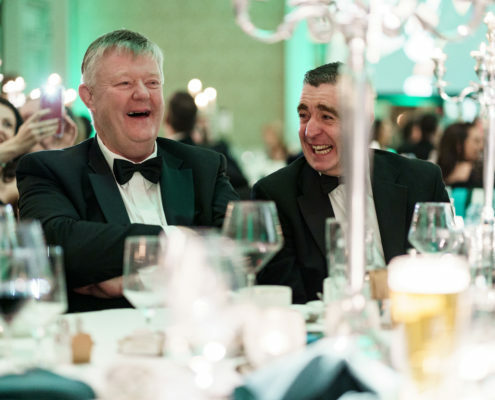 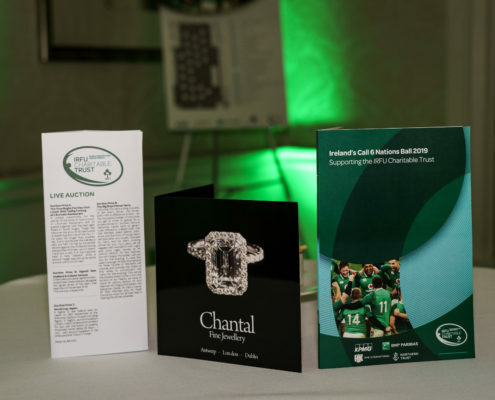 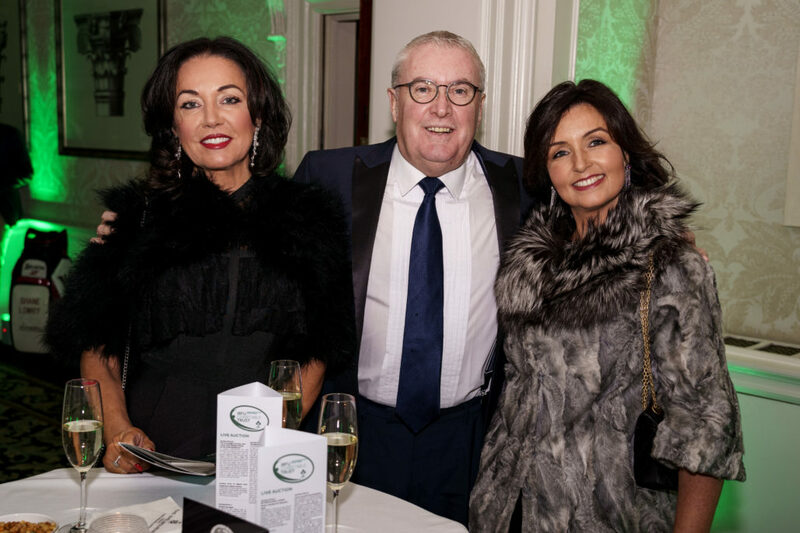 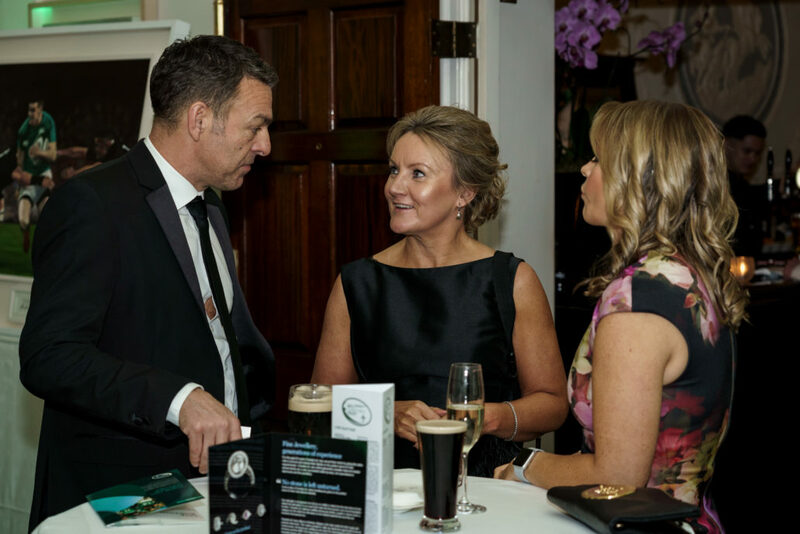 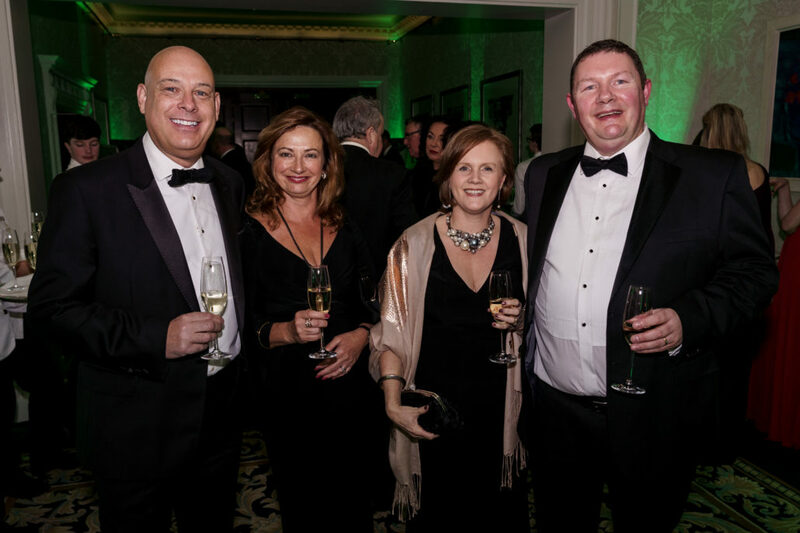 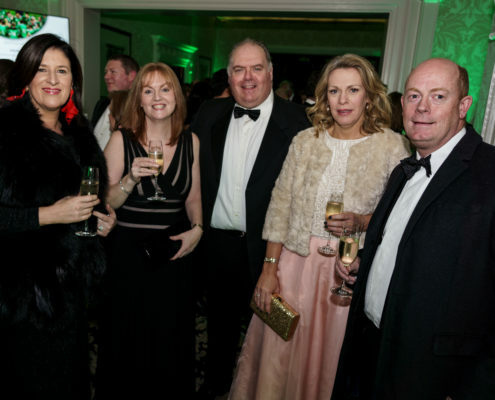 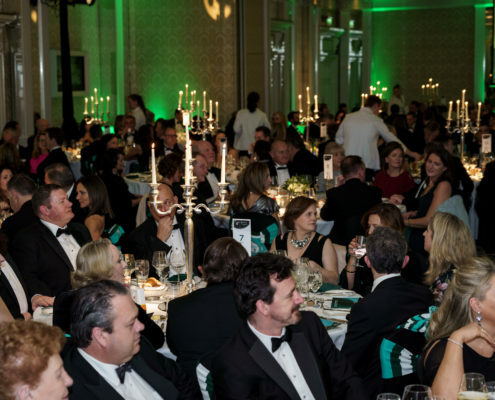 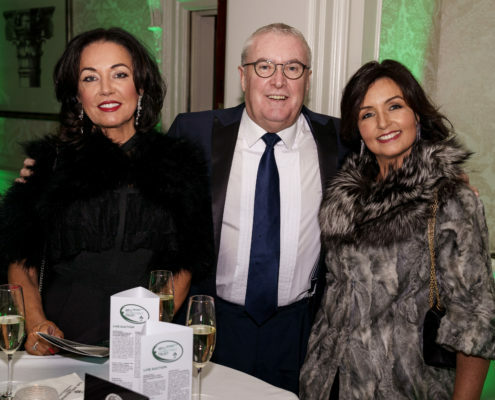 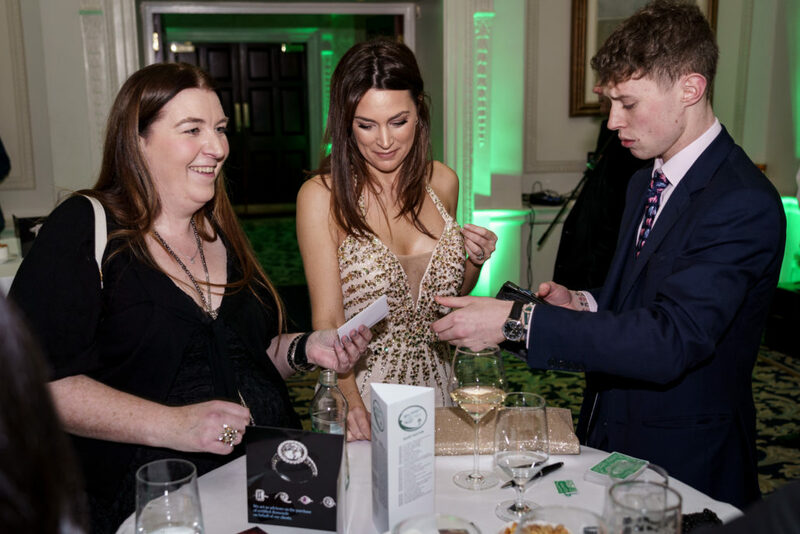 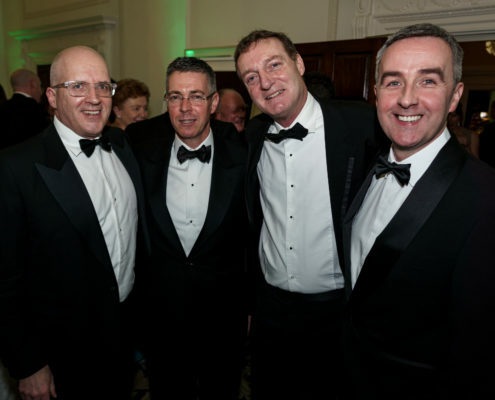 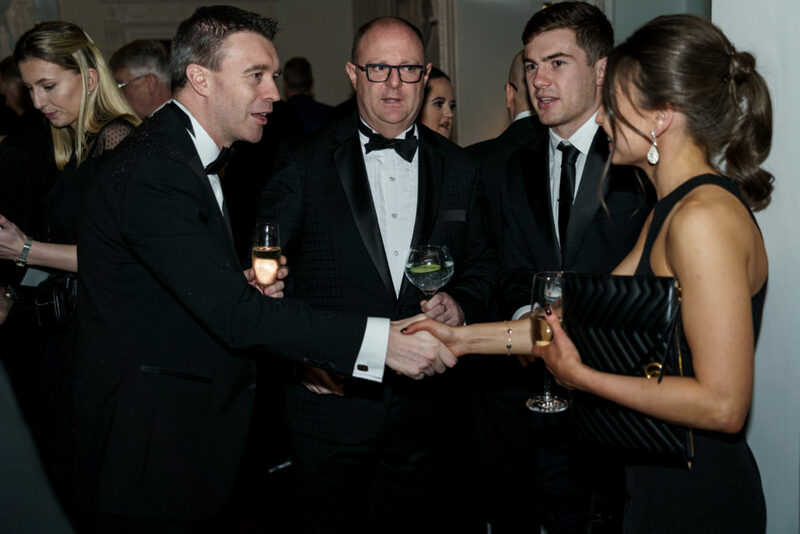 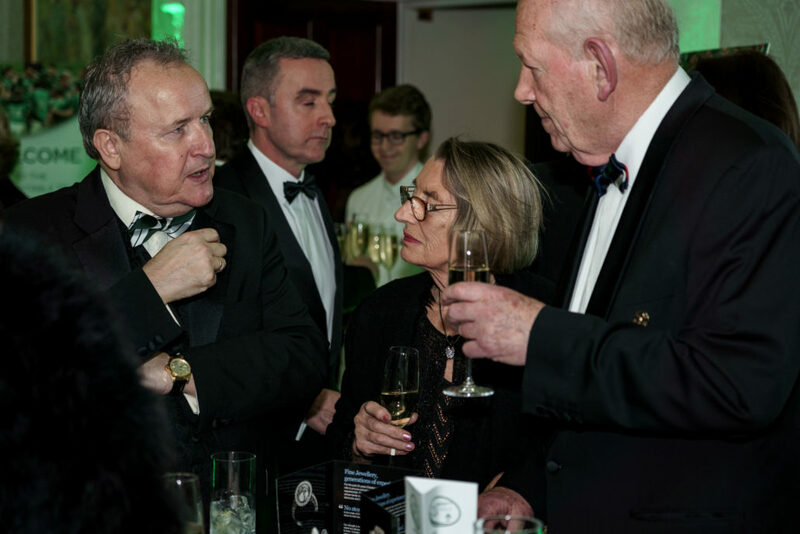 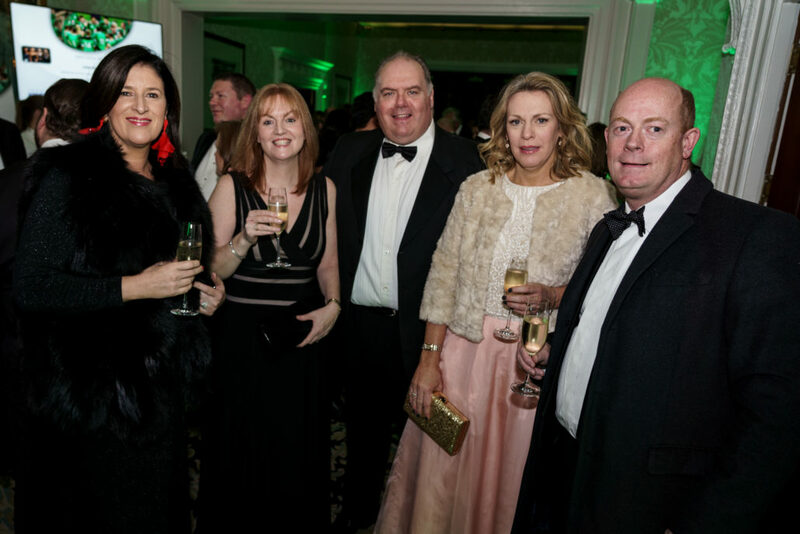 On Saturday 26th January we once again welcomed our many supporters to our annual Ireland’s Call Ball in the Shelbourne Hotel in Dublin. 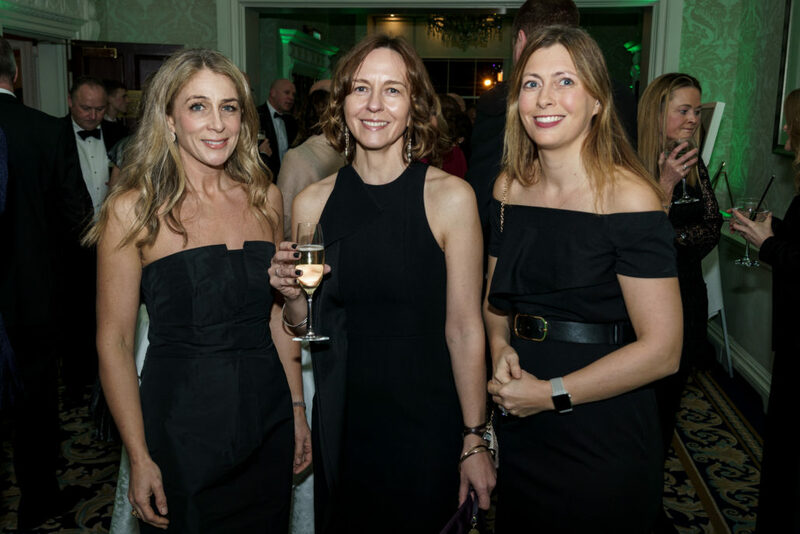 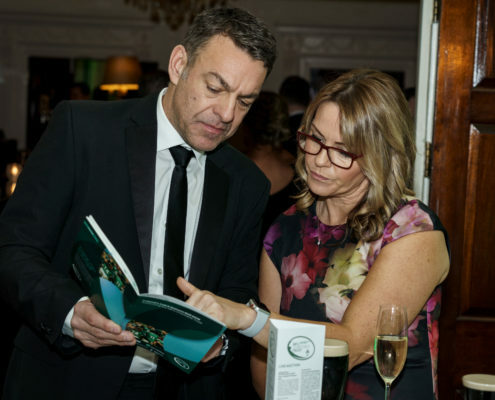 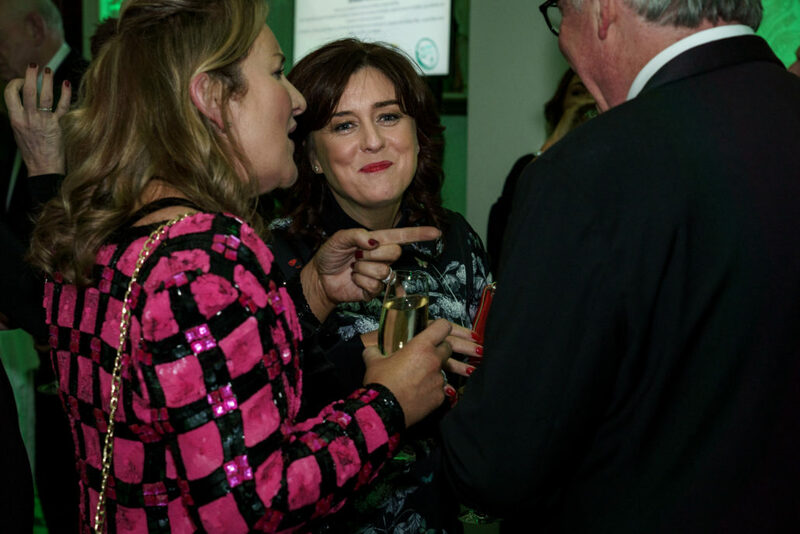 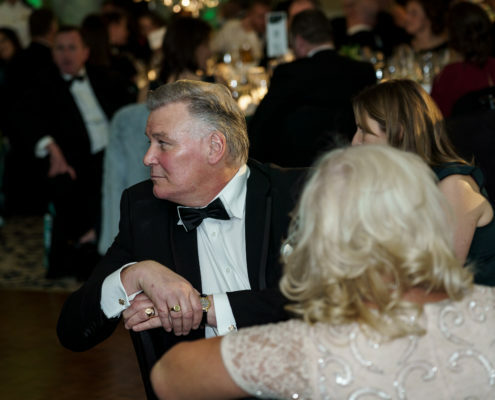 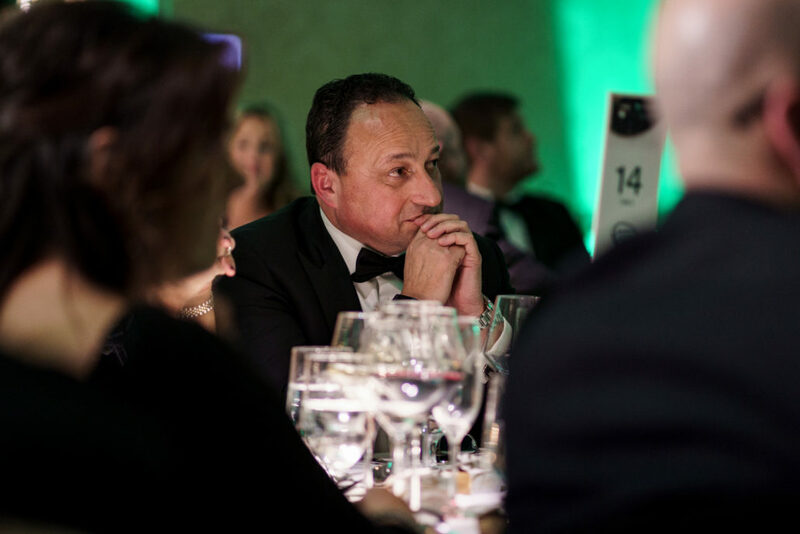 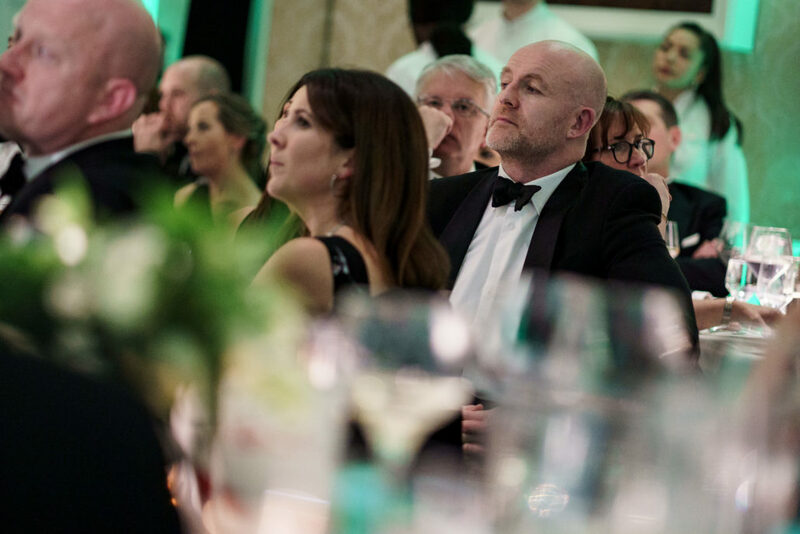 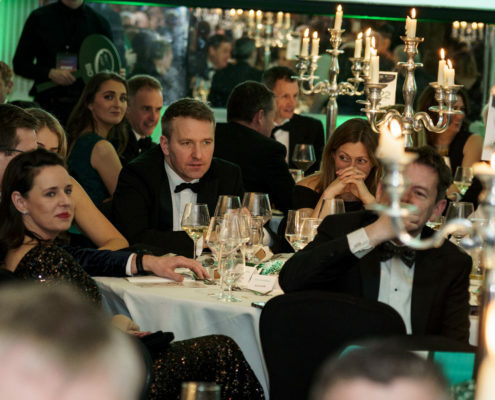 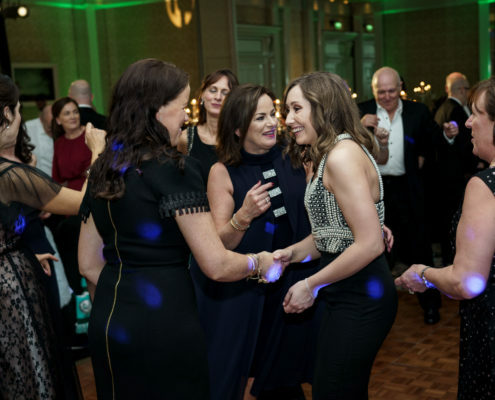 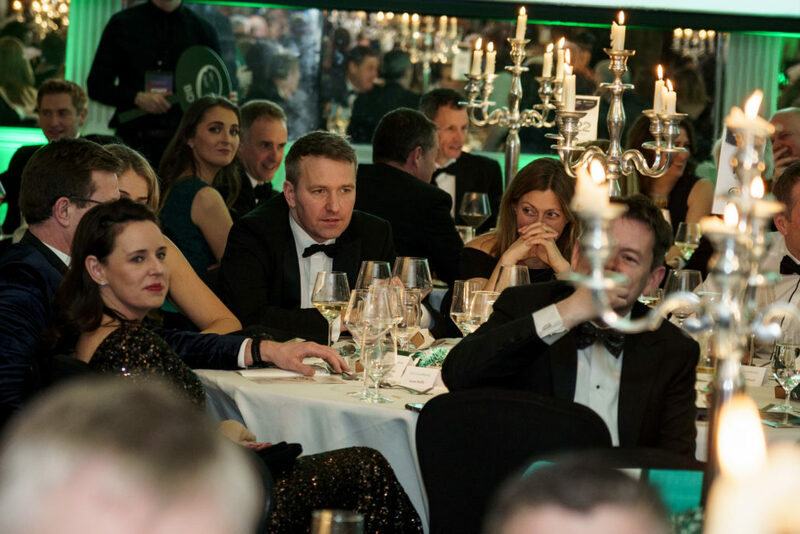 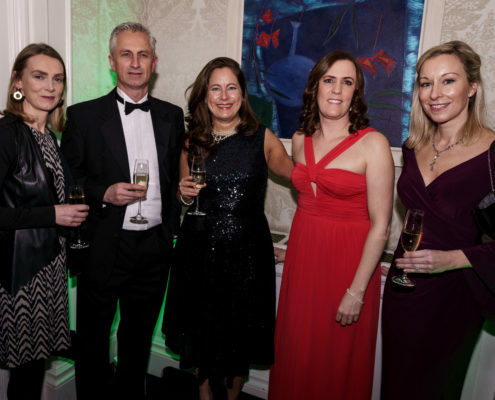 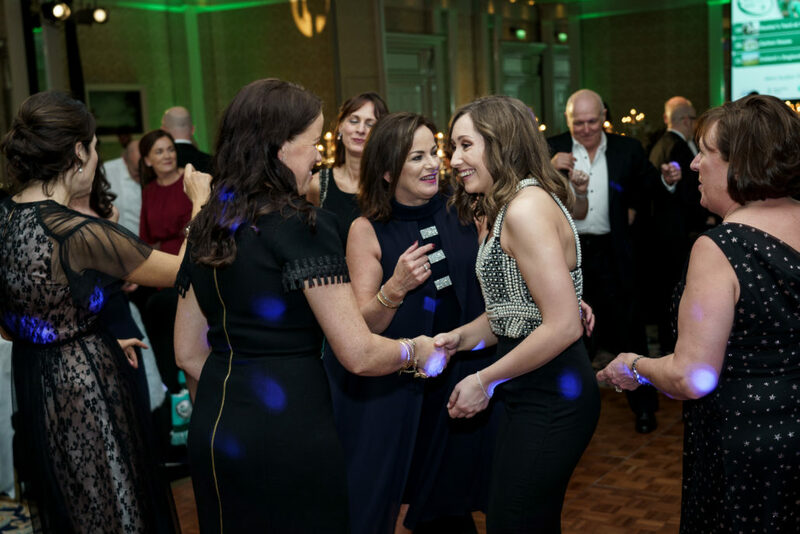 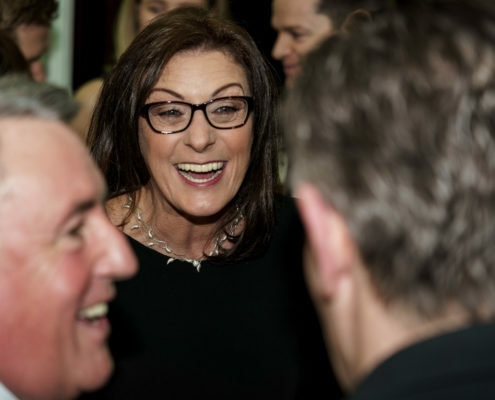 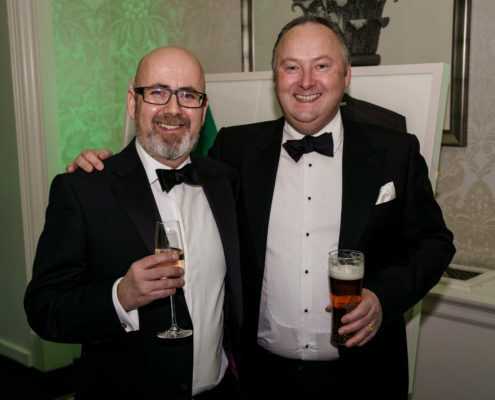 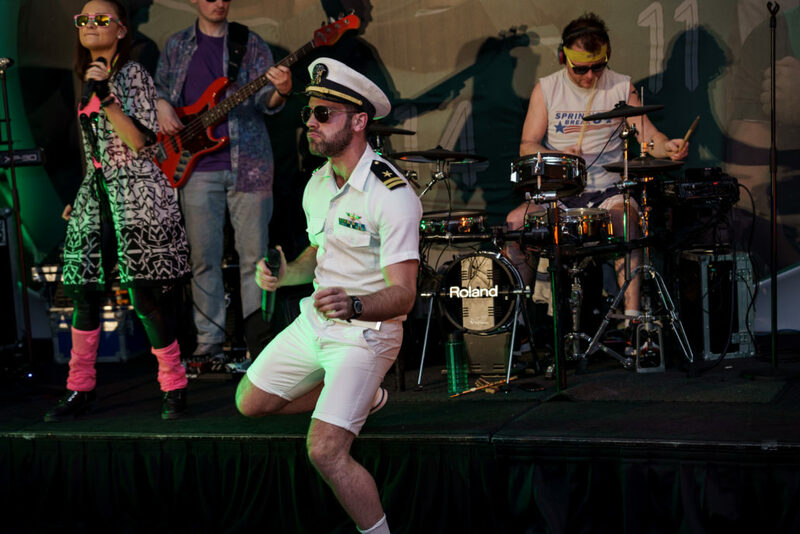 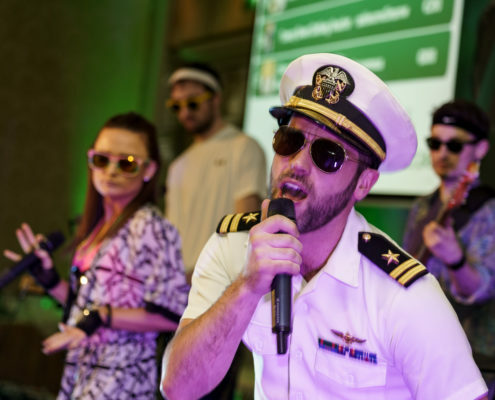 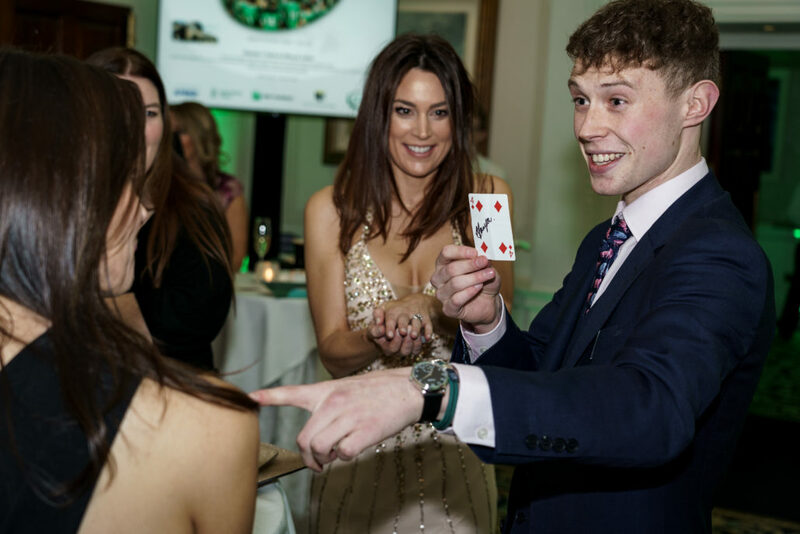 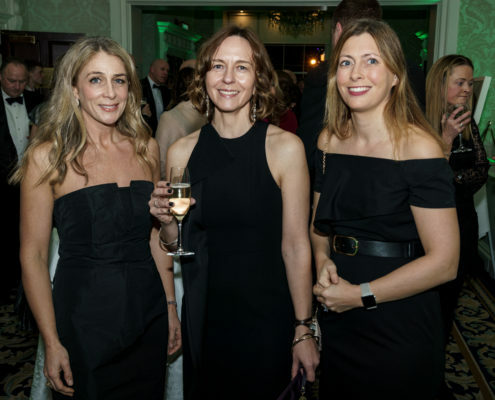 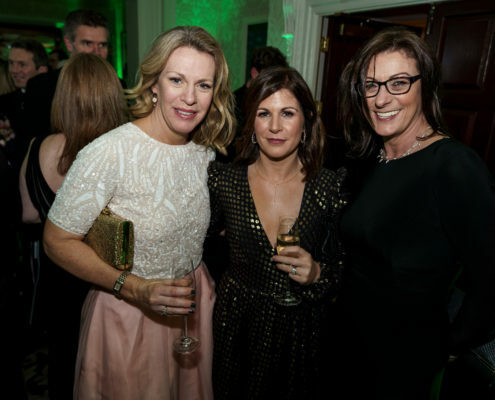 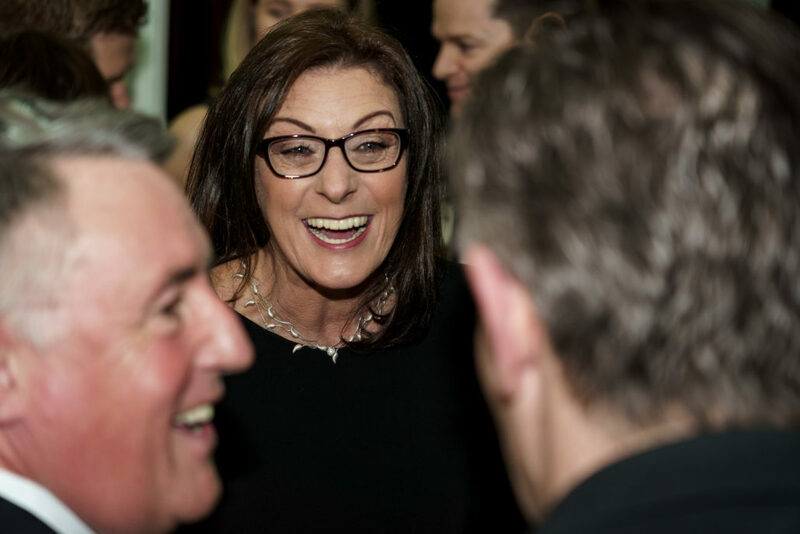 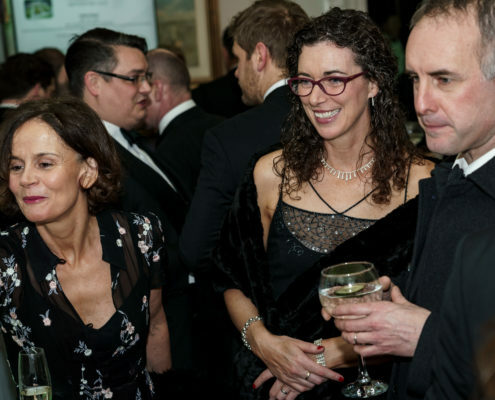 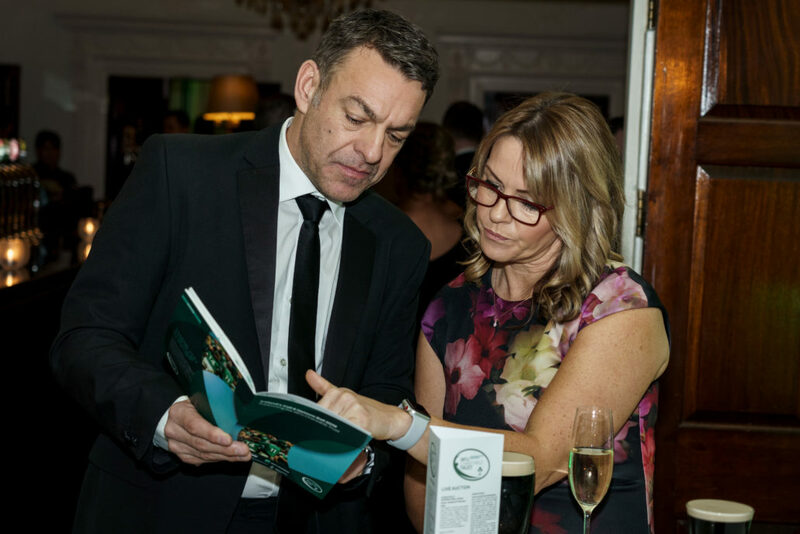 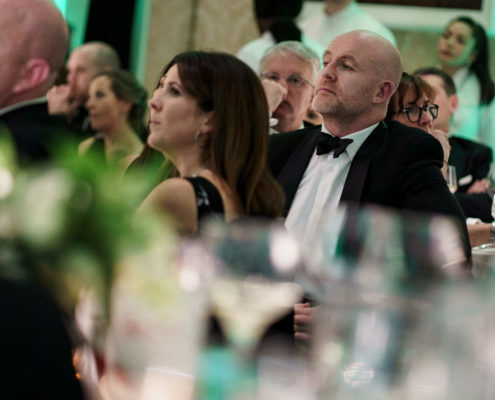 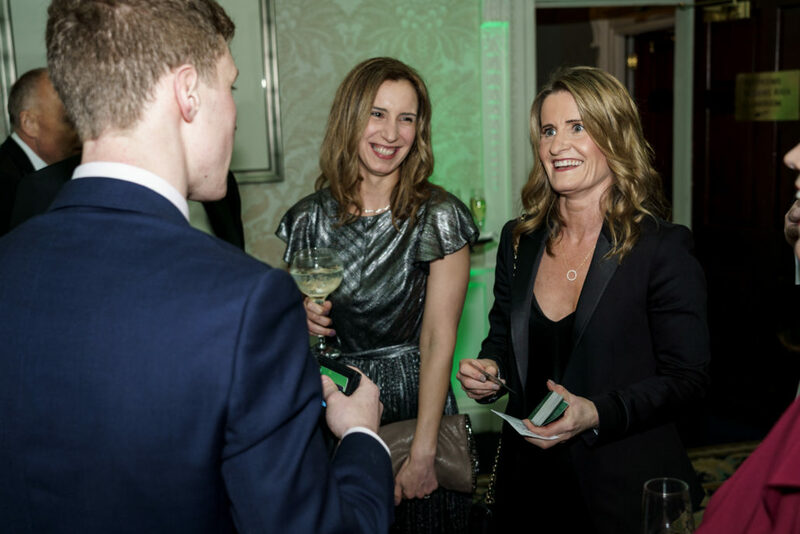 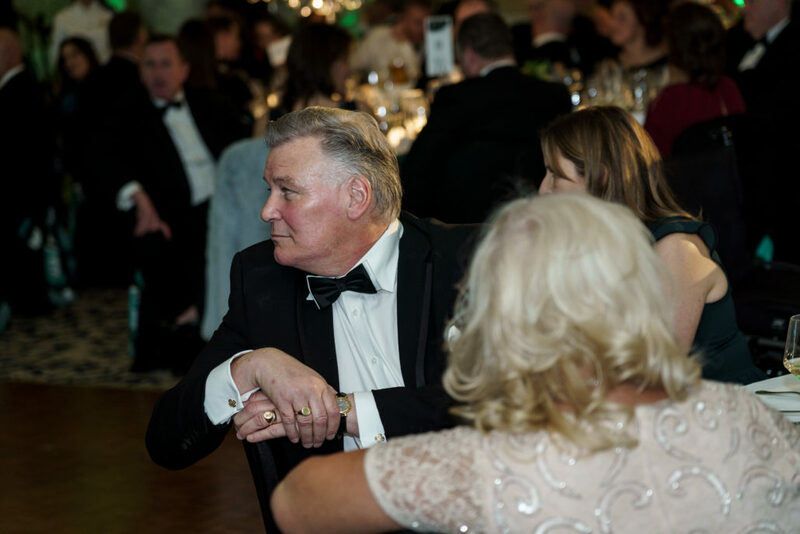 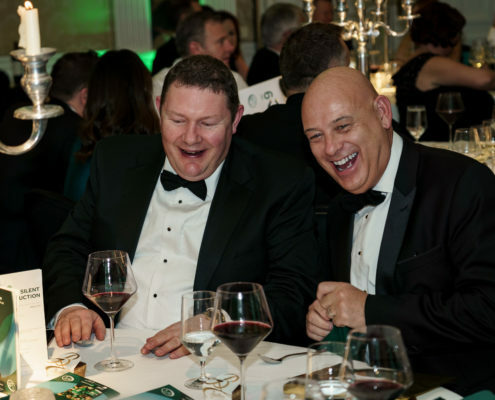 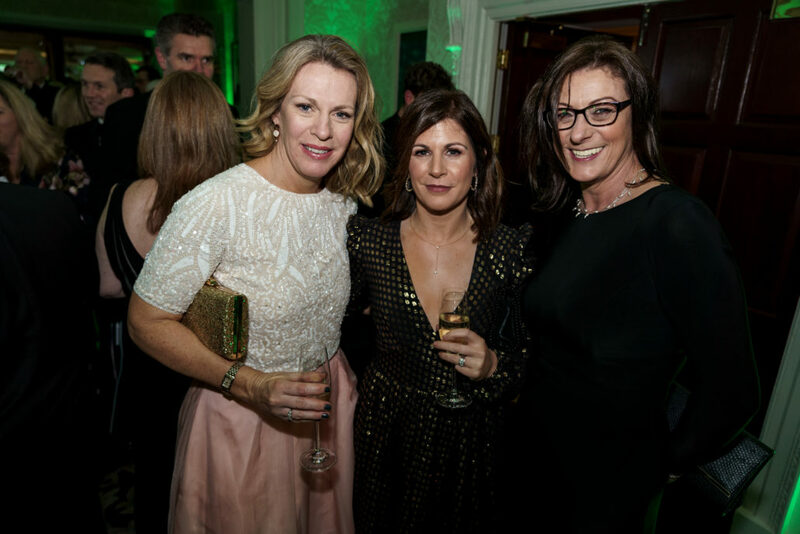 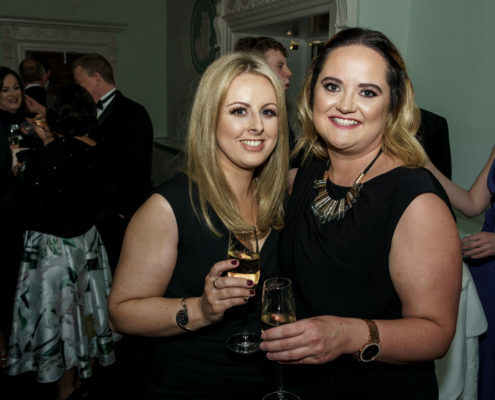 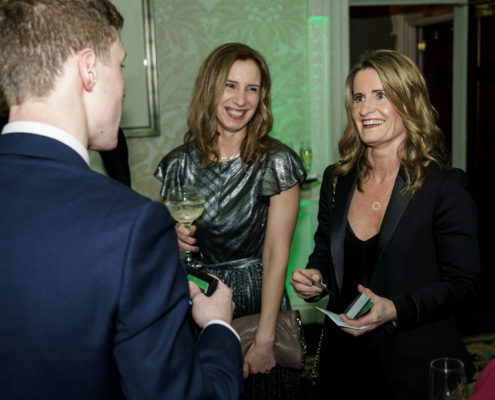 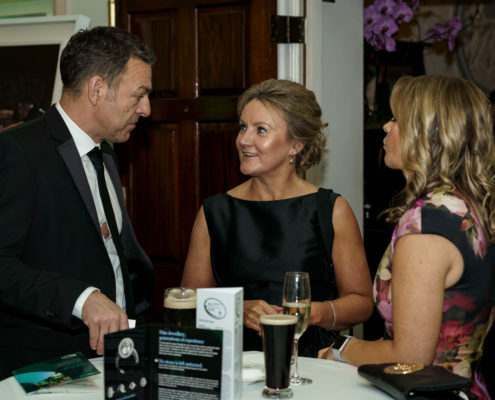 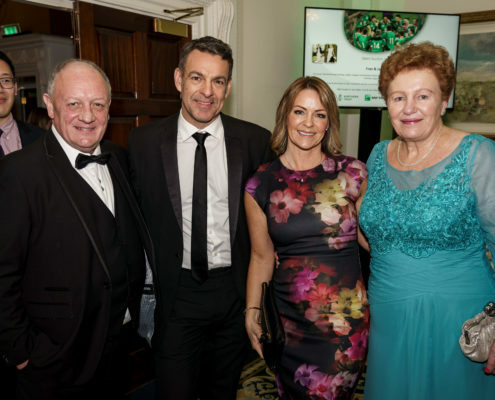 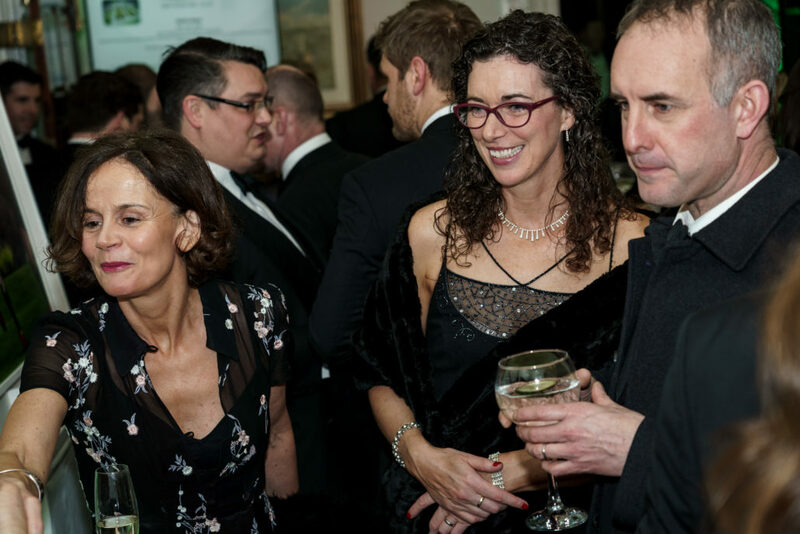 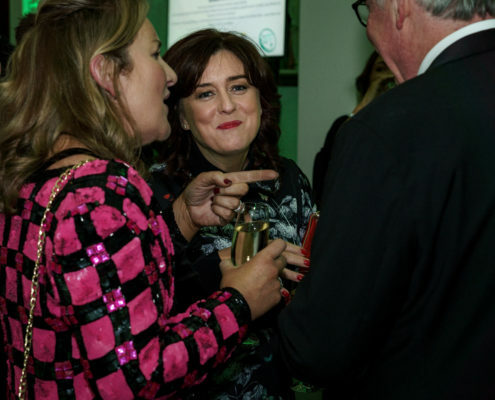 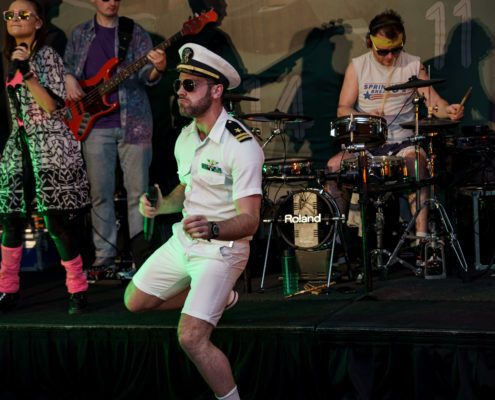 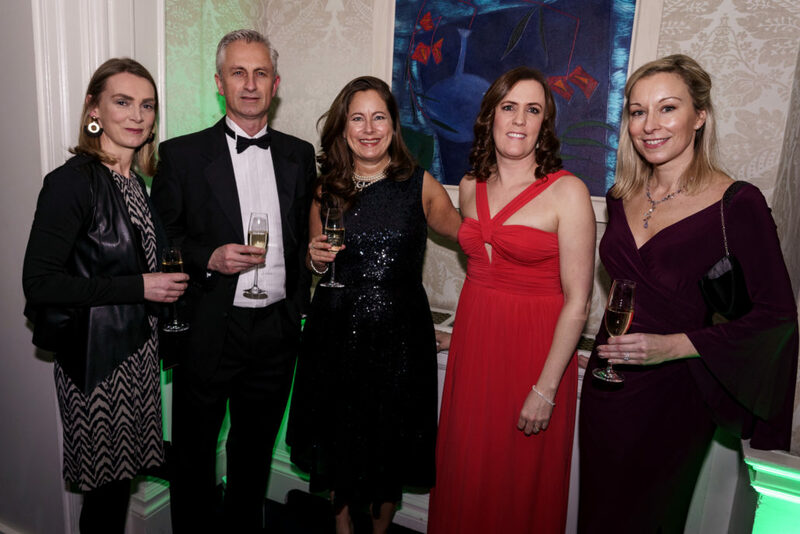 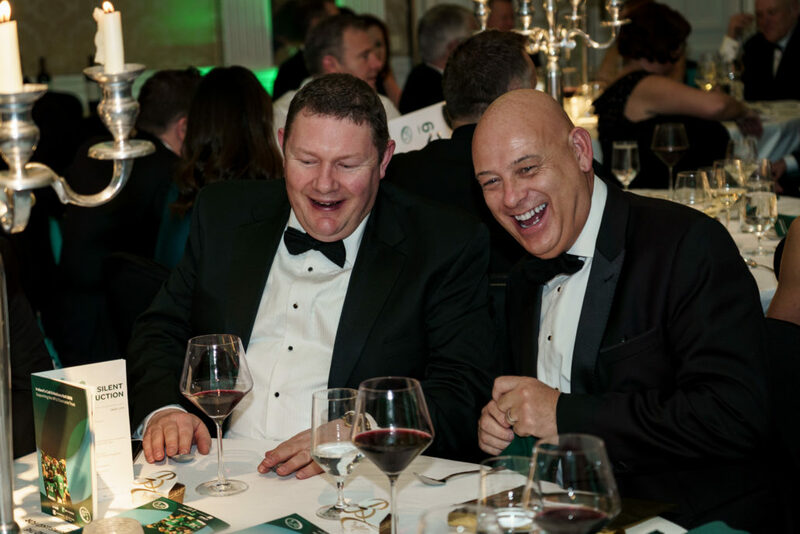 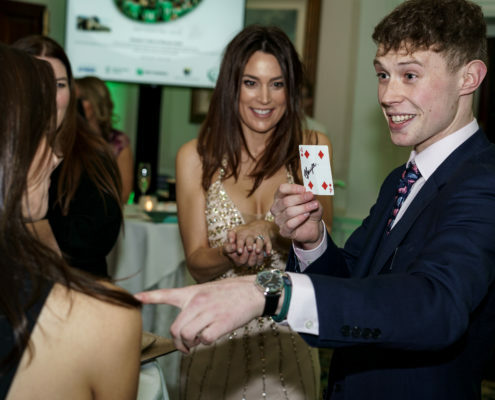 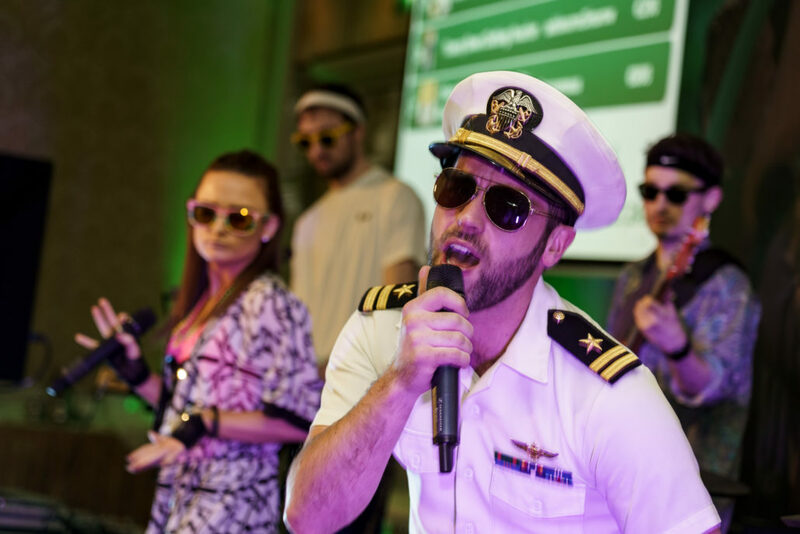 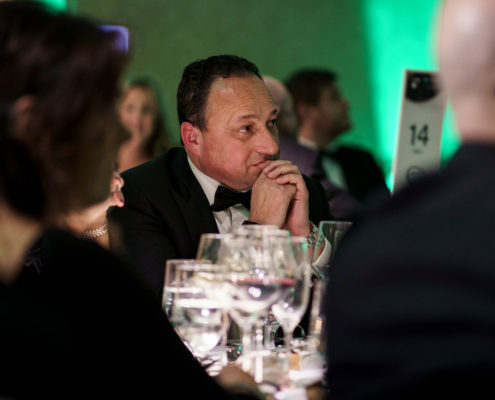 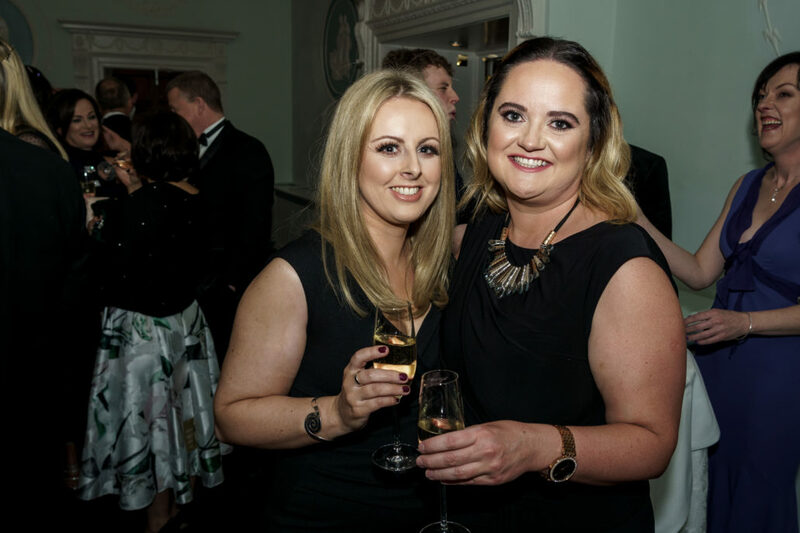 Following on from the success of last year’s event the challenge was set to host a larger event, to raise more valuable funds and to ensure all our guests enjoyed their night. 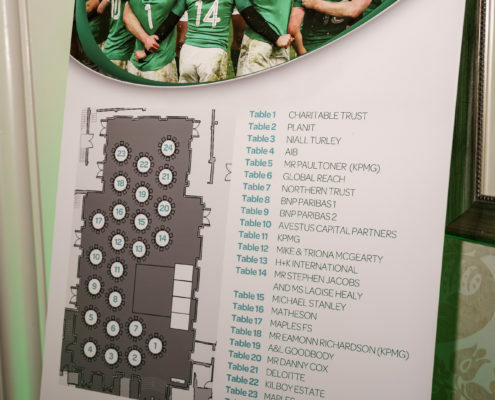 Well we can safely say that we achieved all of our goals. 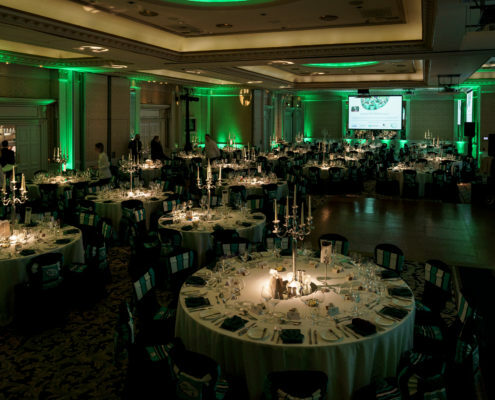 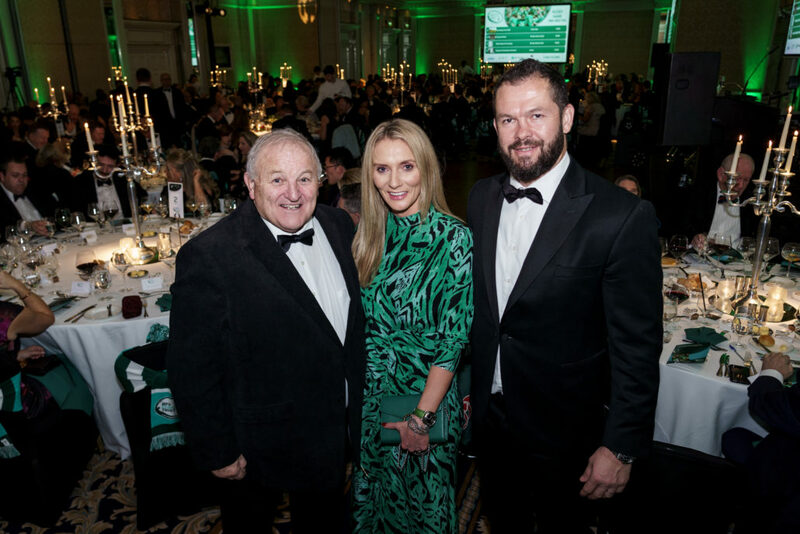 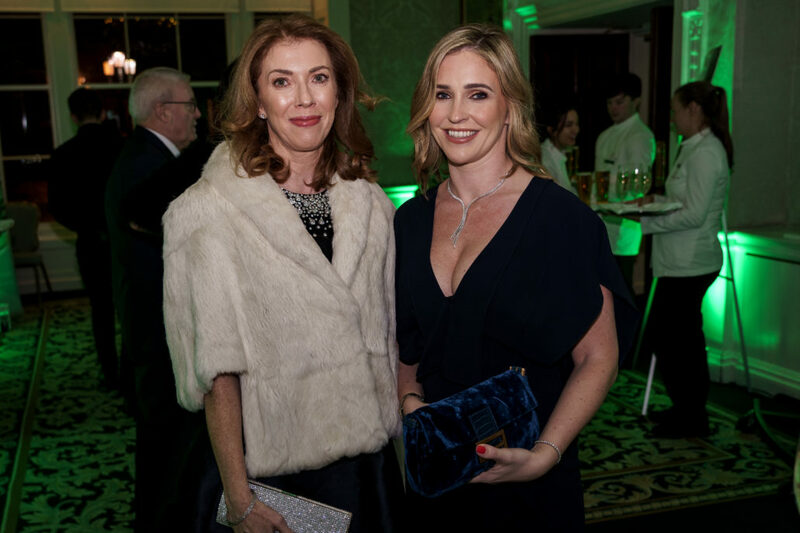 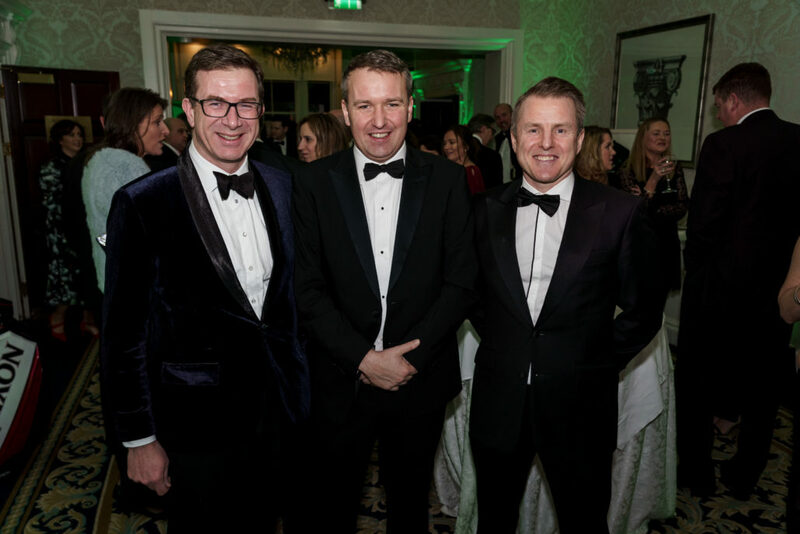 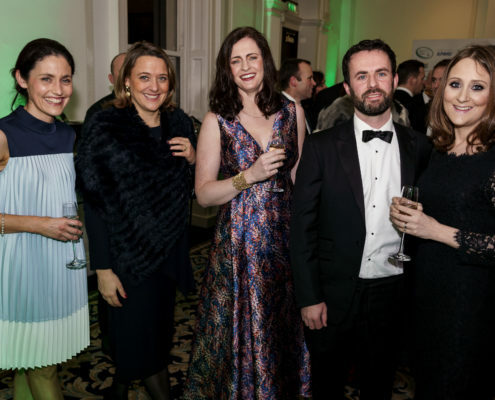 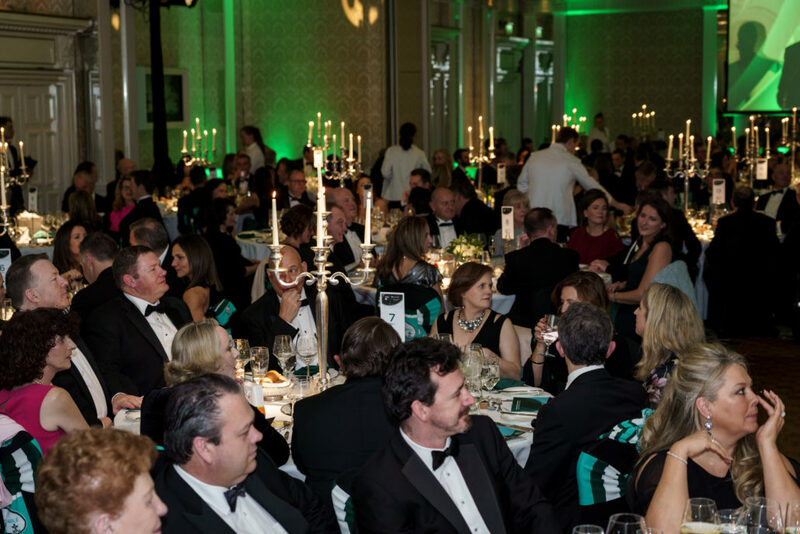 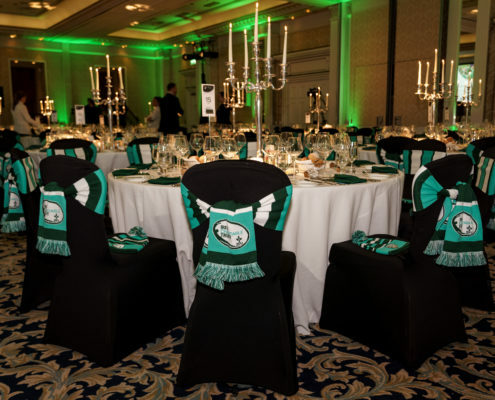 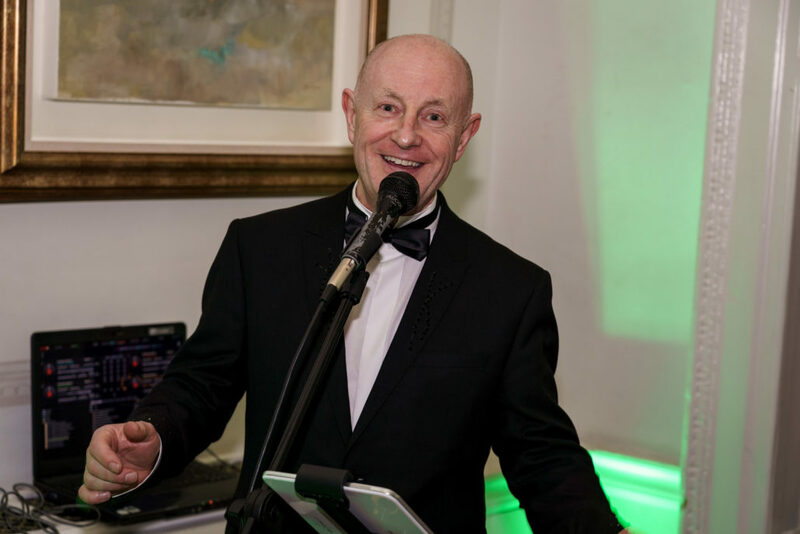 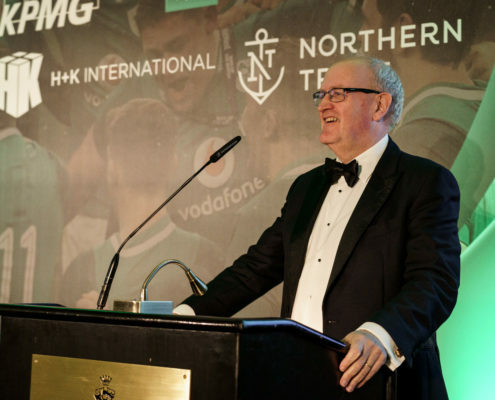 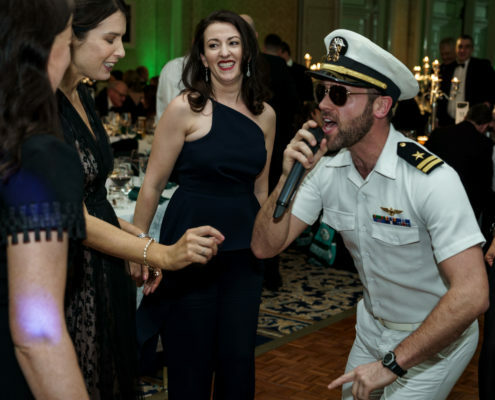 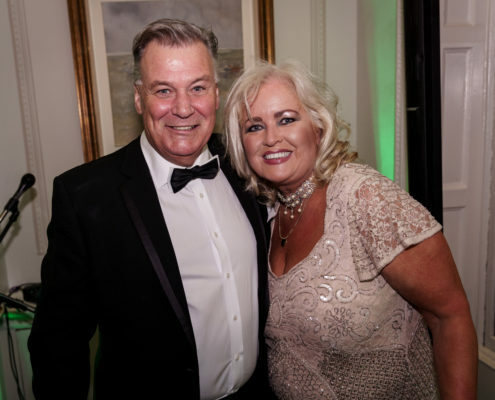 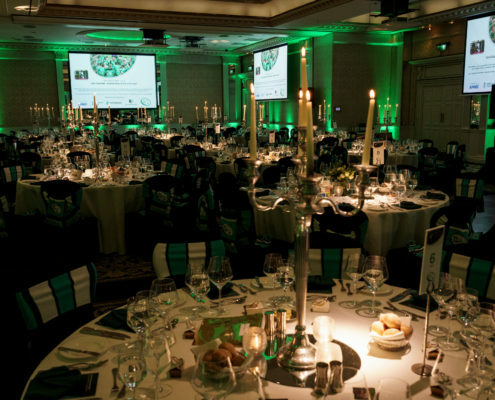 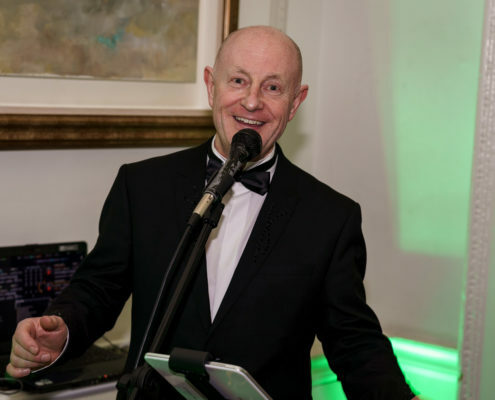 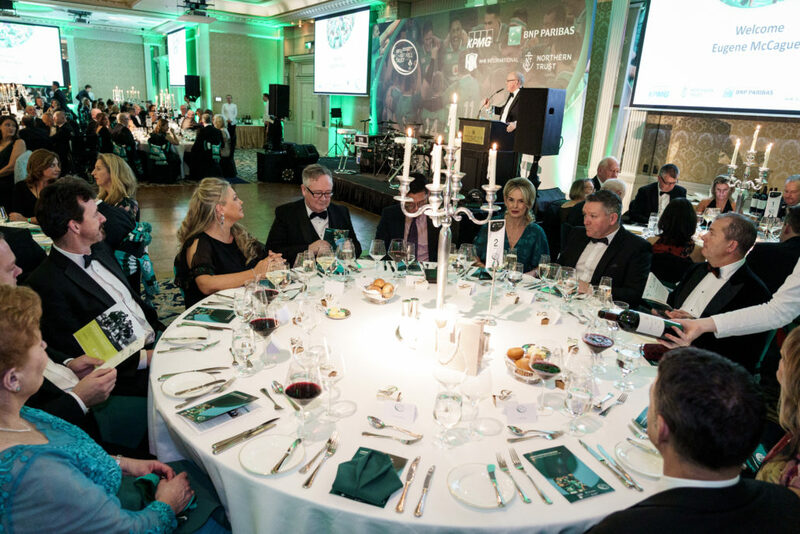 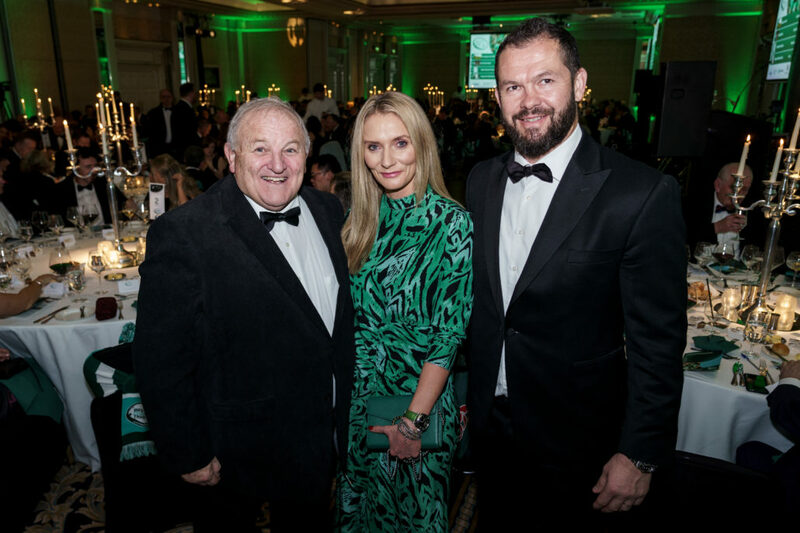 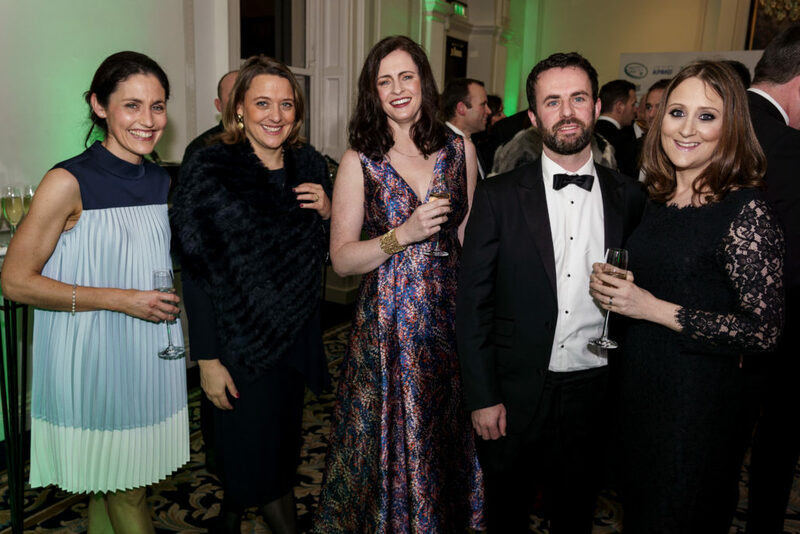 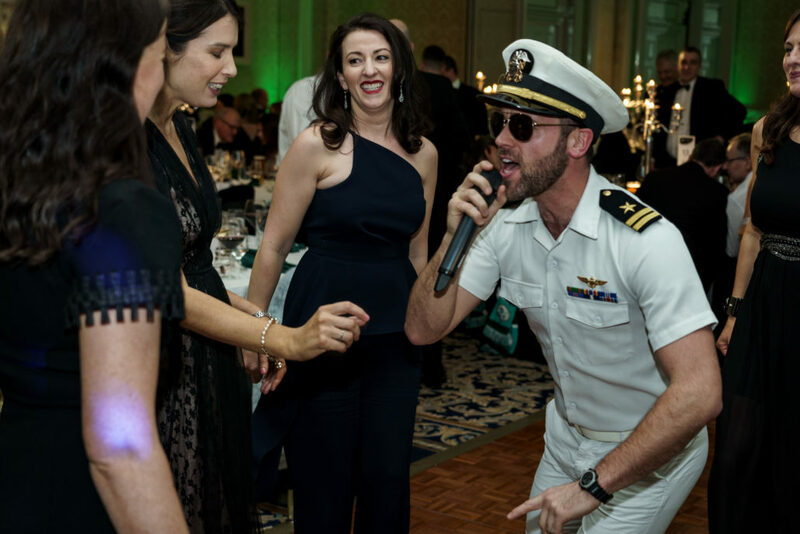 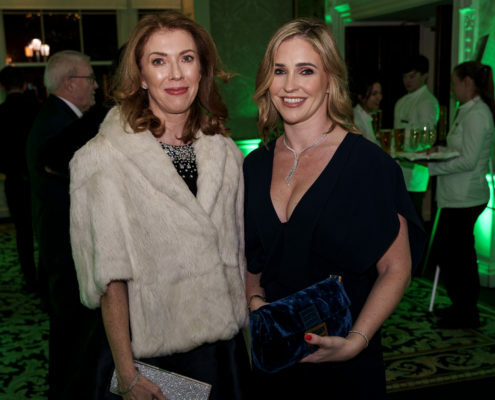 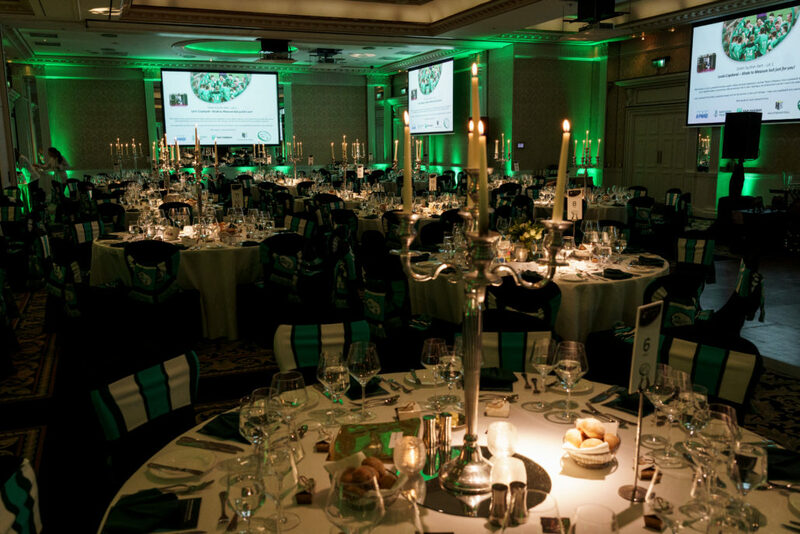 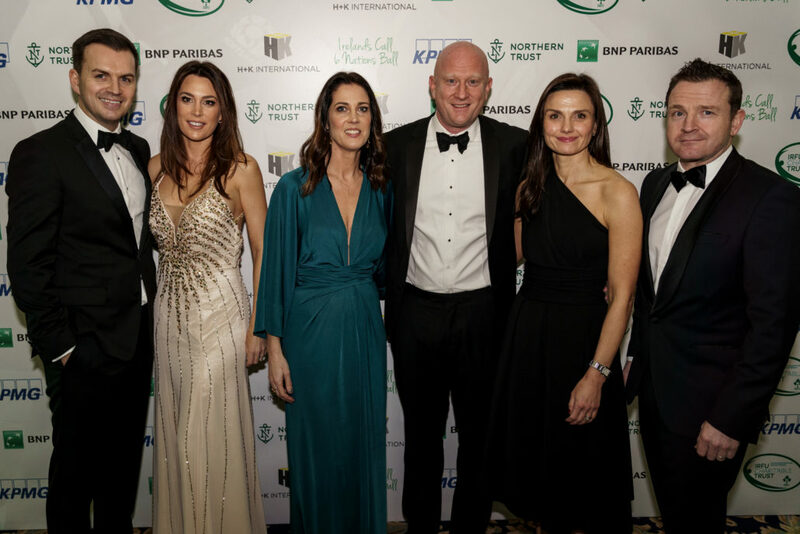 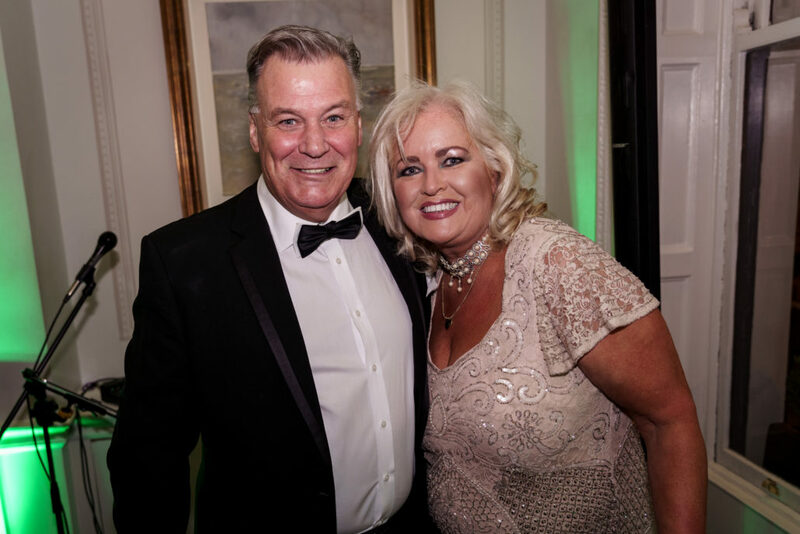 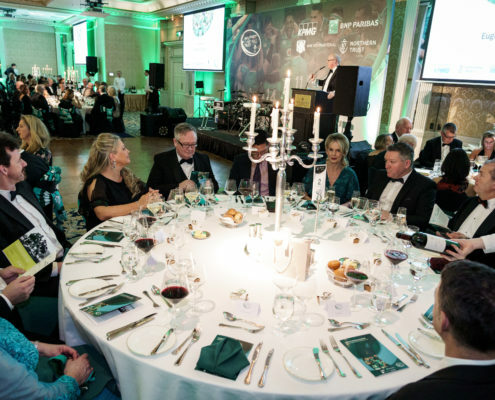 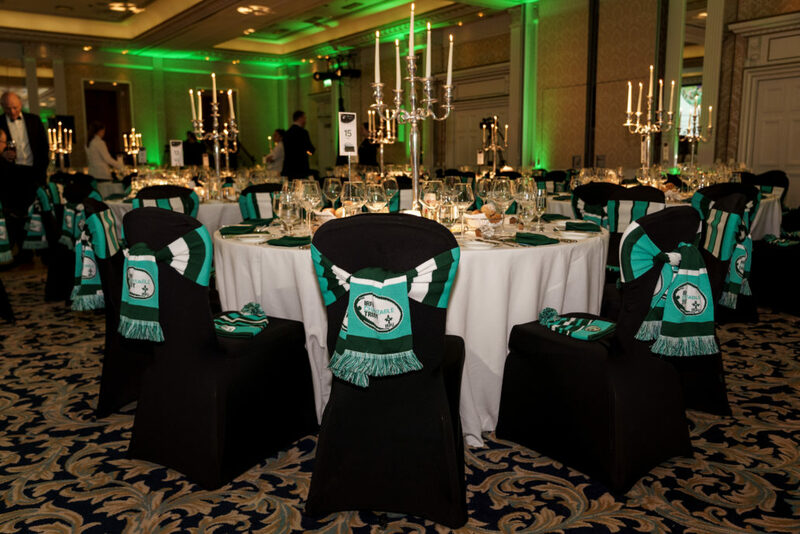 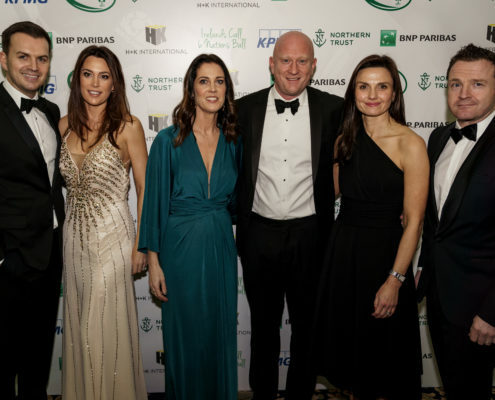 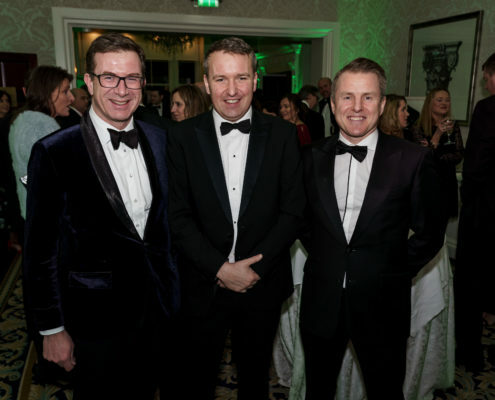 With our MC Eugene McCague and over 250 guests in attendance, the main ballroom in the Shelbourne Hotel was full with lots of glamour against a backdrop of green linens and lighting in support of our national team. 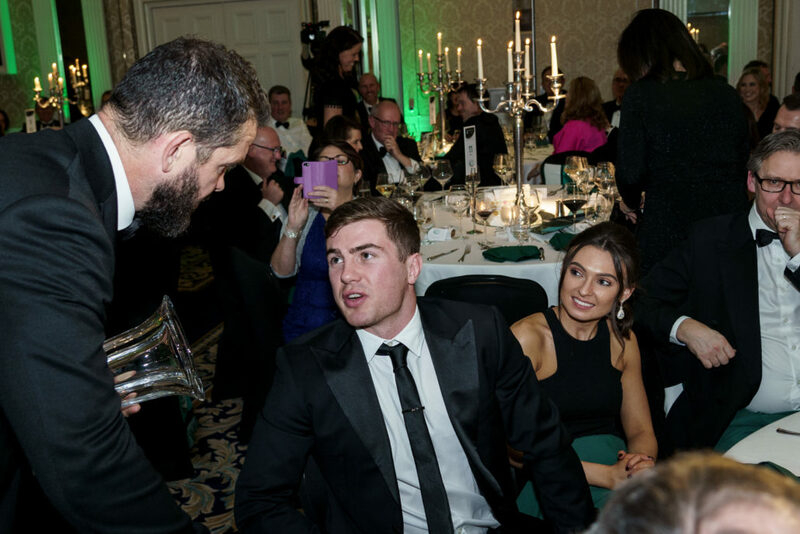 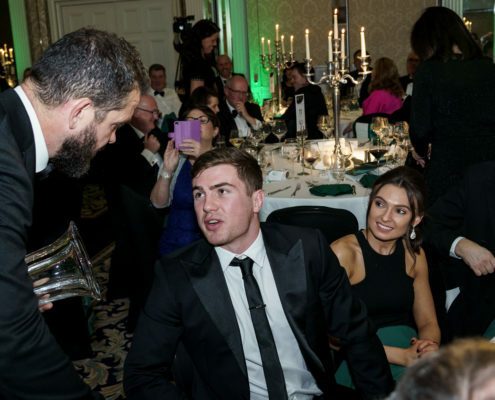 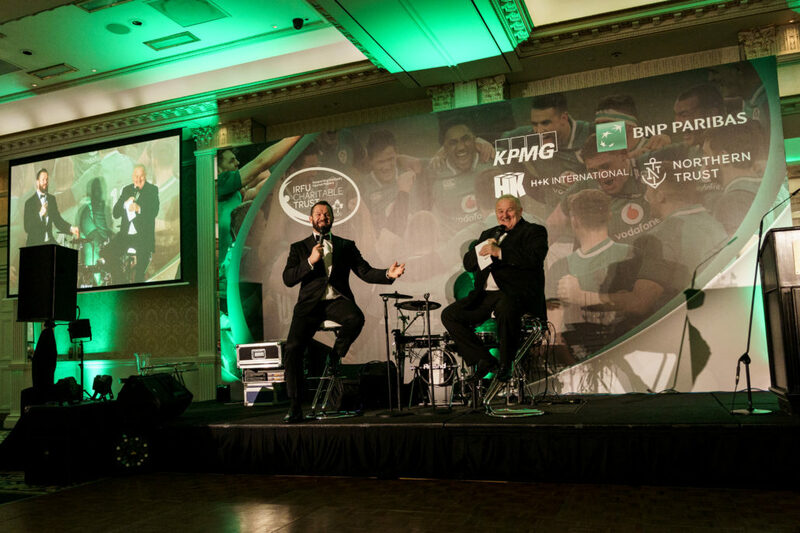 The entertainment on the night was kicked off by the very modest Andy Farrell, interviewed by Mick Quinn. 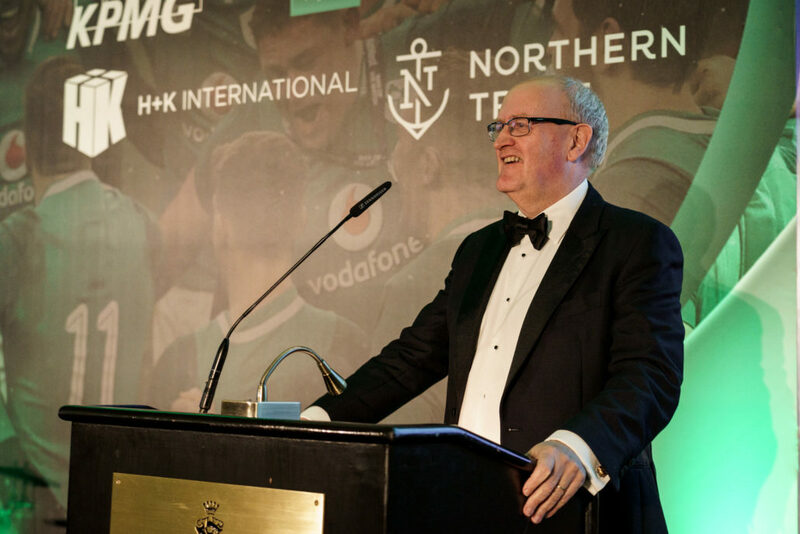 We are very lucky as a nation to have such a skilled coach working with our national team. 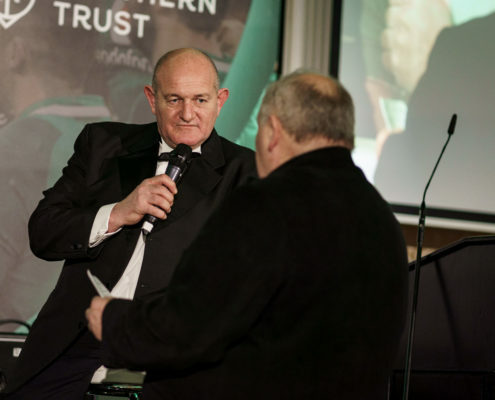 Andy proved his defence tactics were strong while Mick Quinn tried to probe him about the English team and any secrets he could reveal. 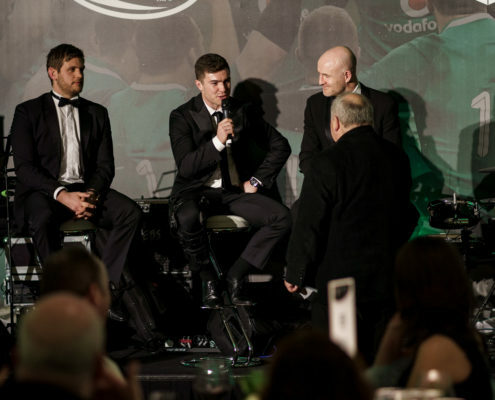 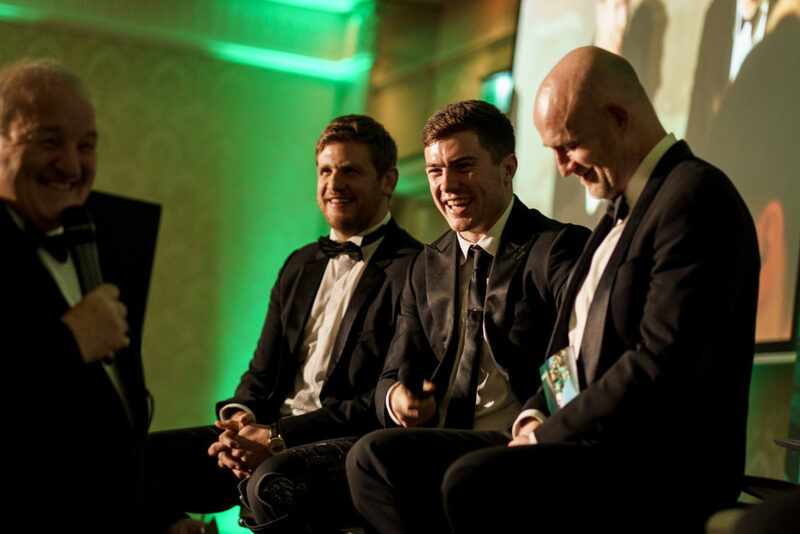 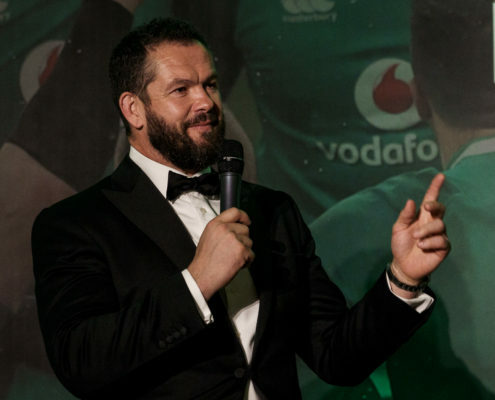 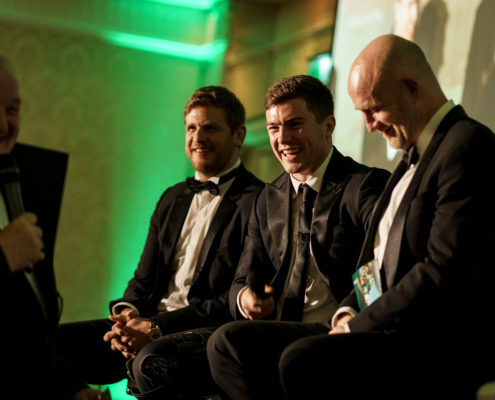 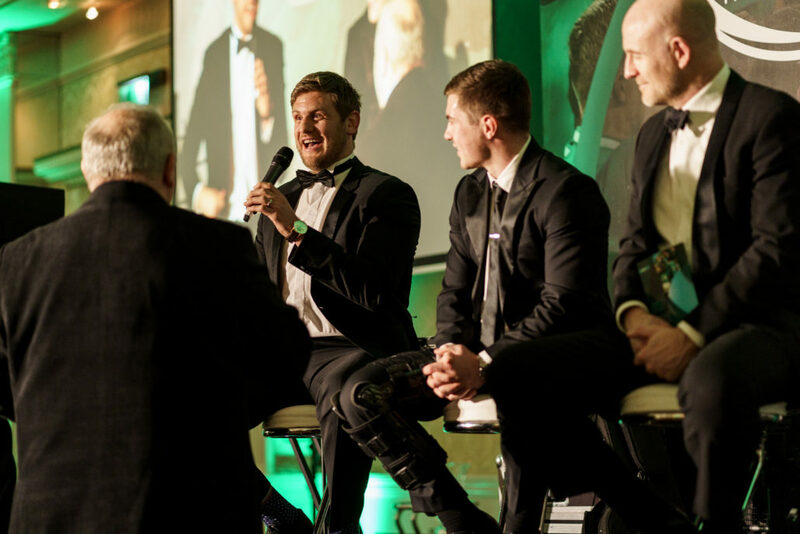 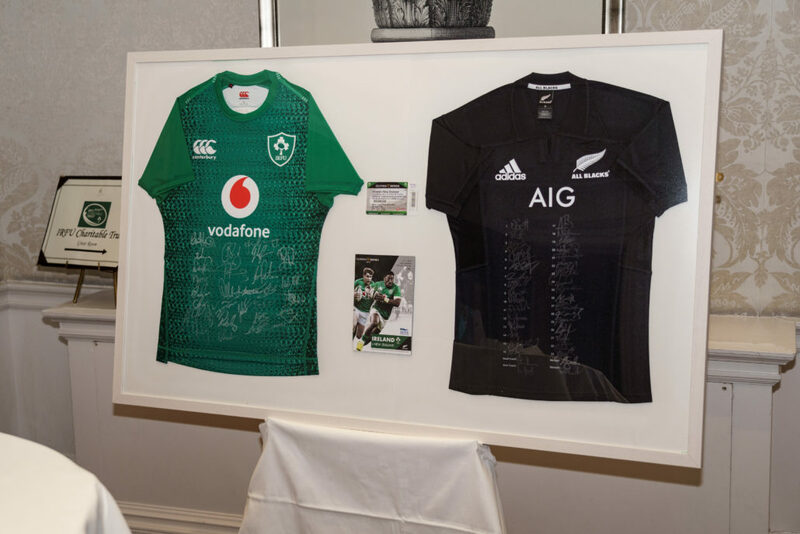 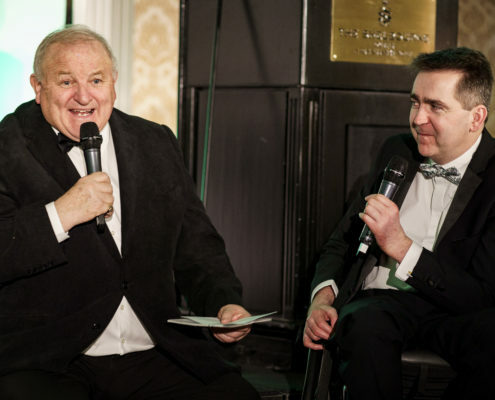 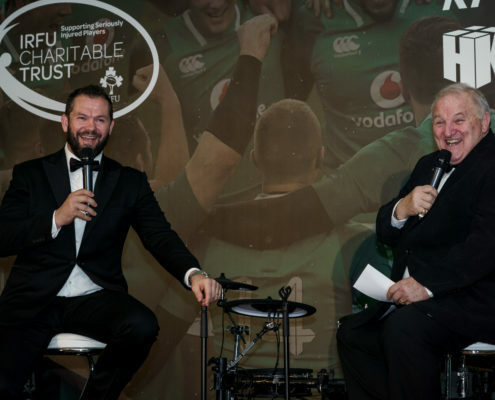 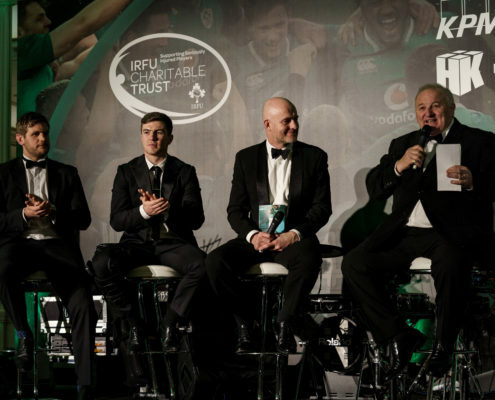 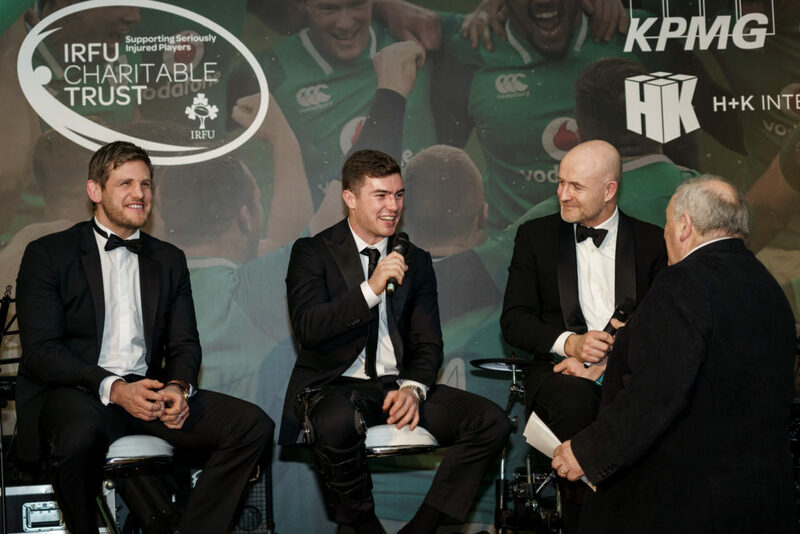 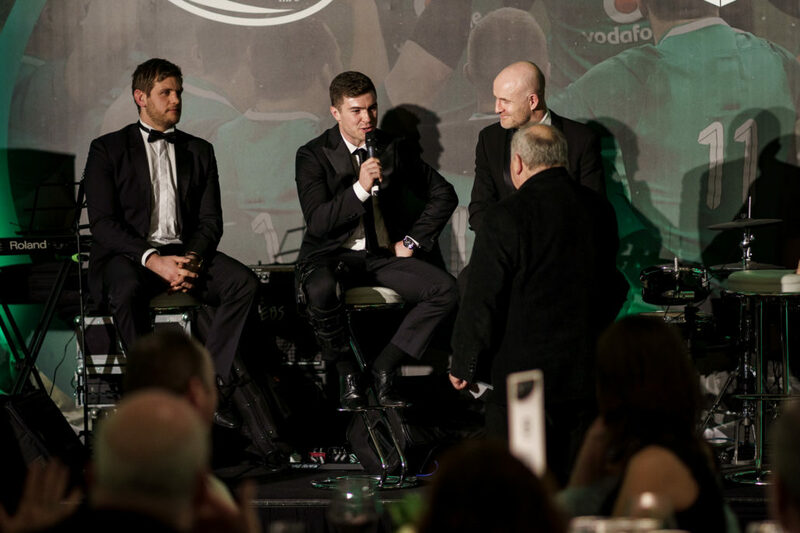 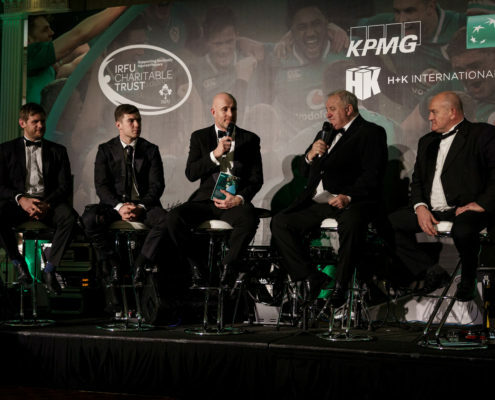 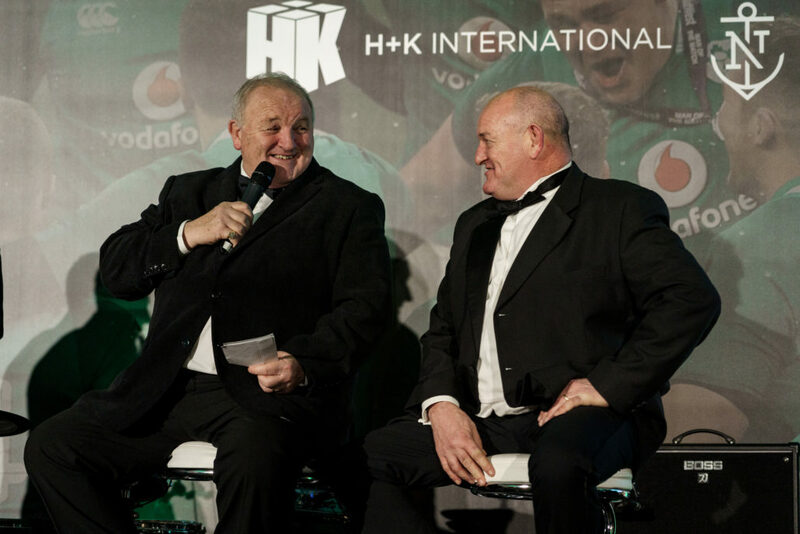 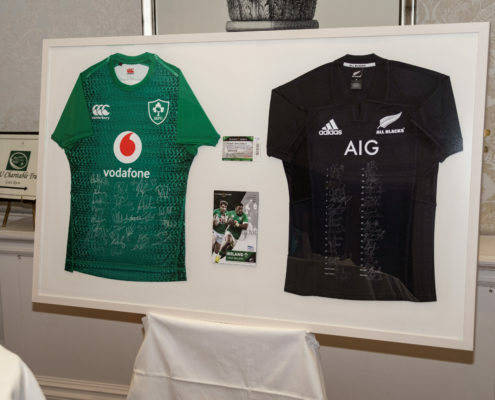 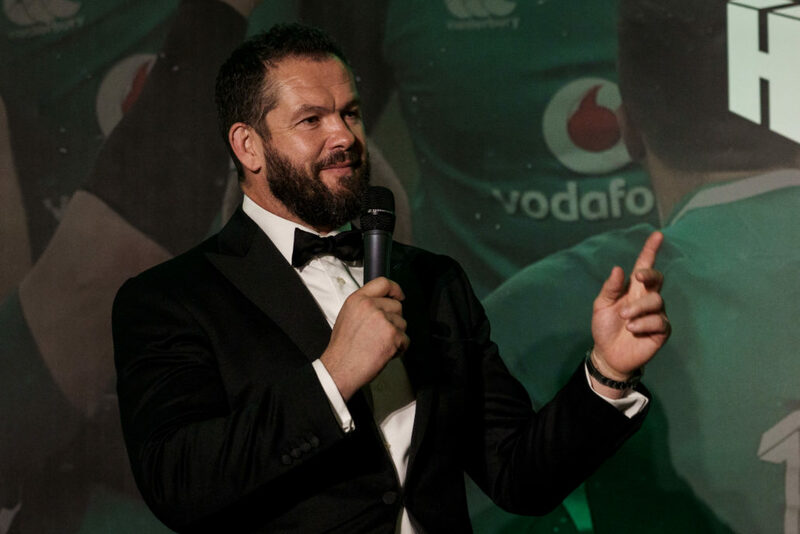 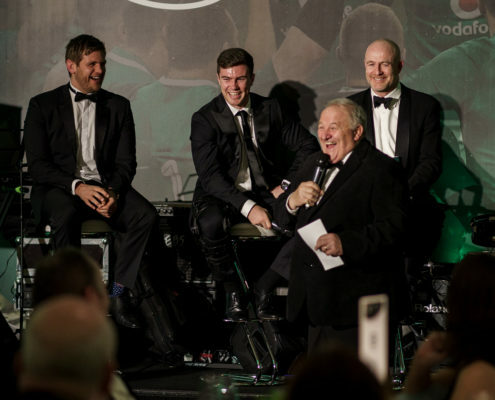 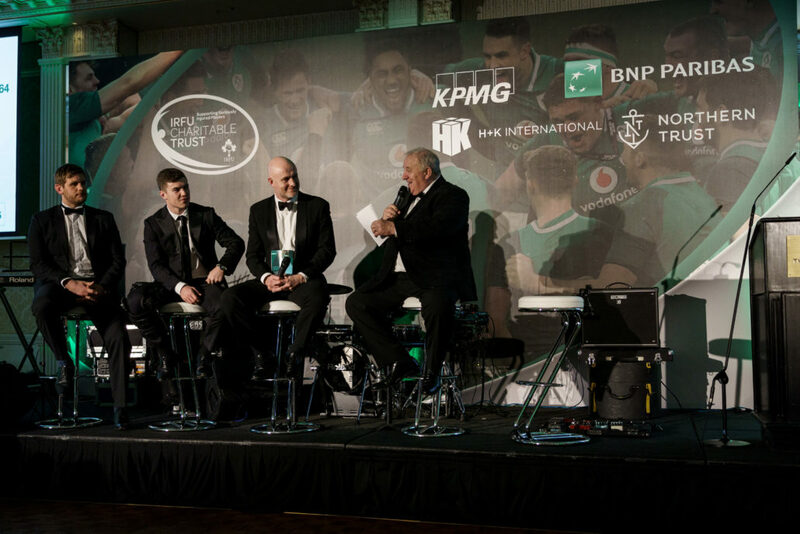 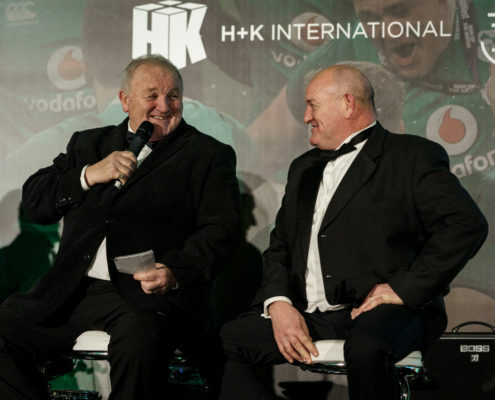 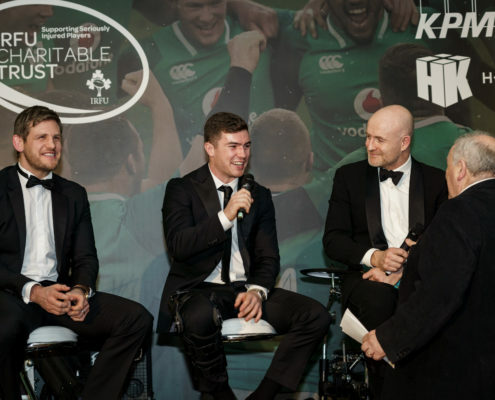 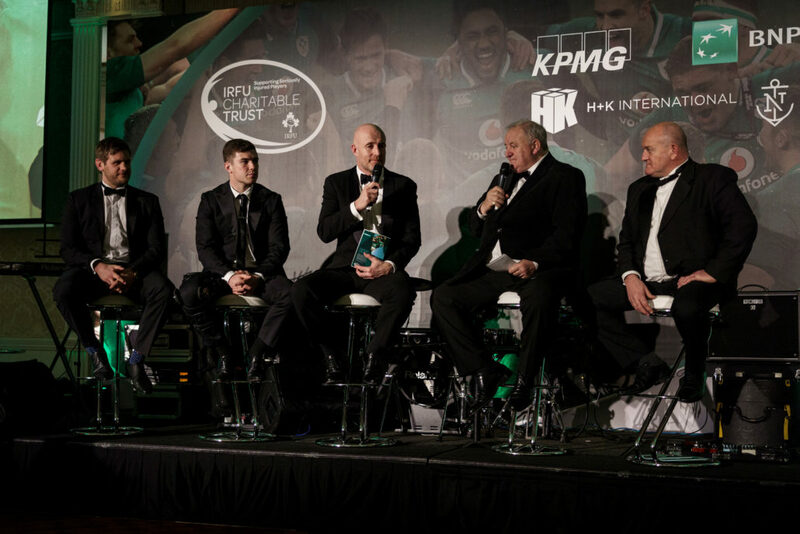 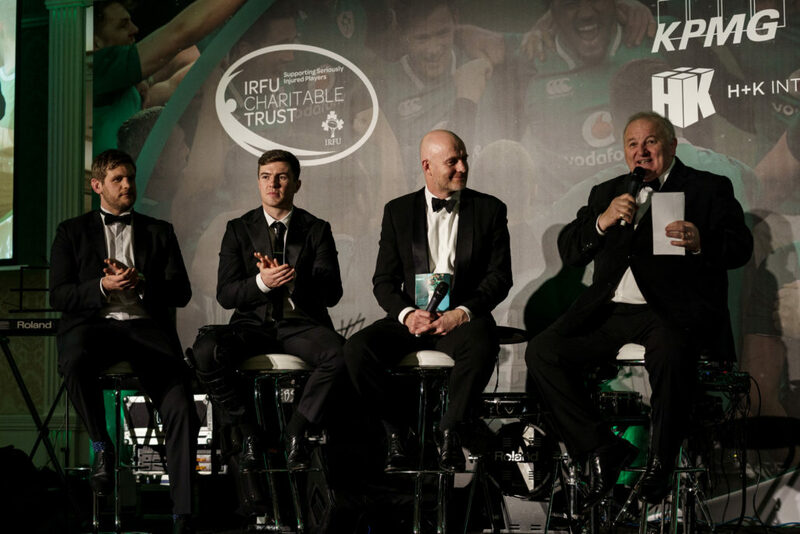 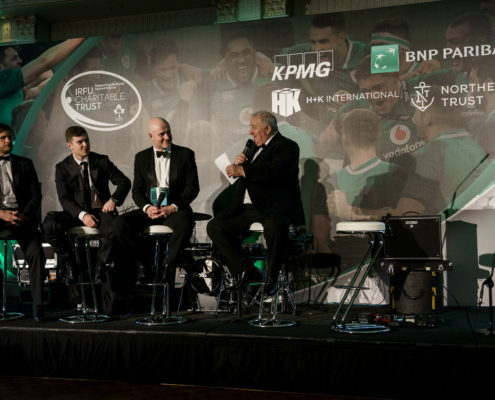 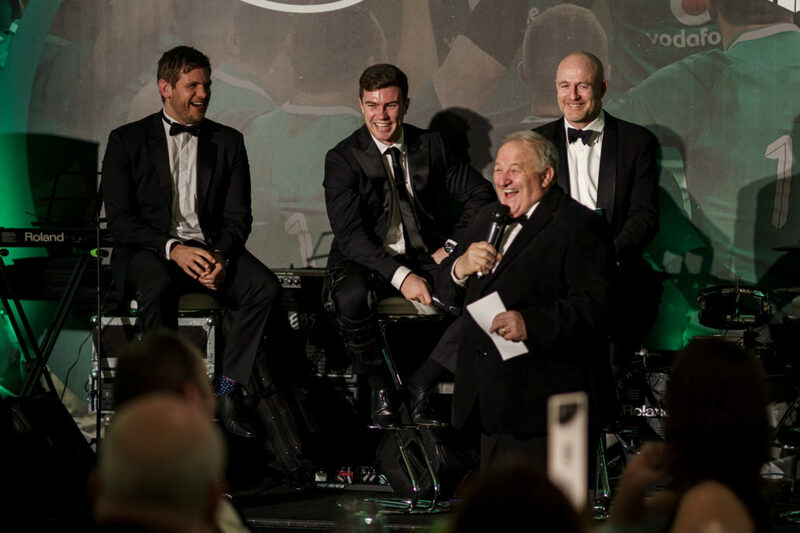 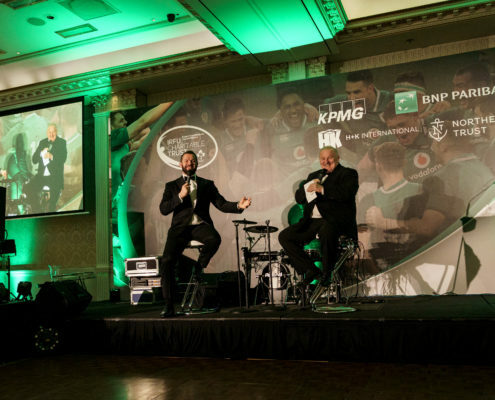 Mick was also joined by Peter Clohessy, Chris Henry, Denis Hickie, and Luke McGrath who regaled the audience with tales of rugby tours and training regimes which kept the guests entertained during their meal. 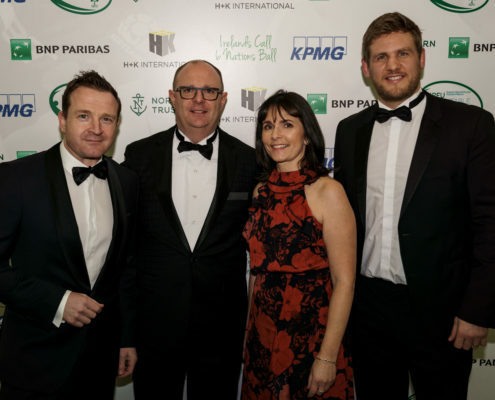 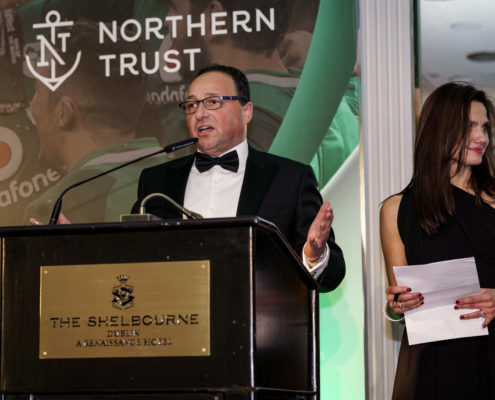 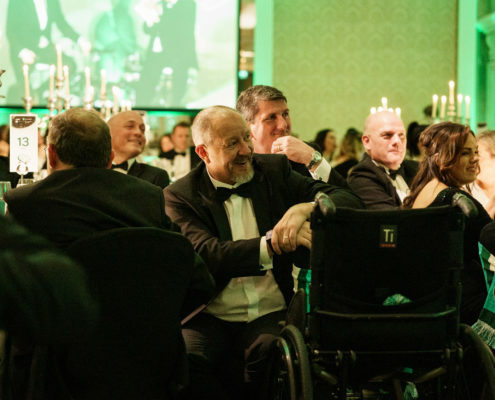 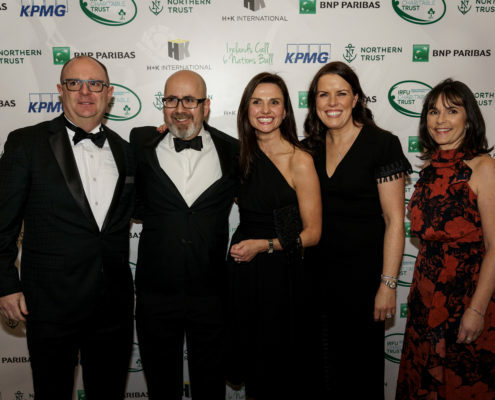 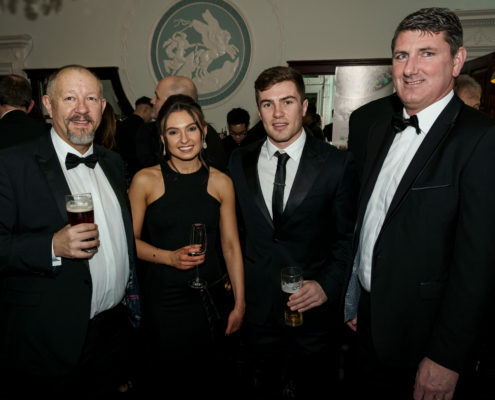 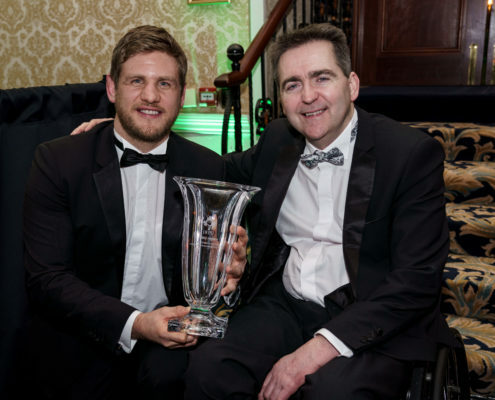 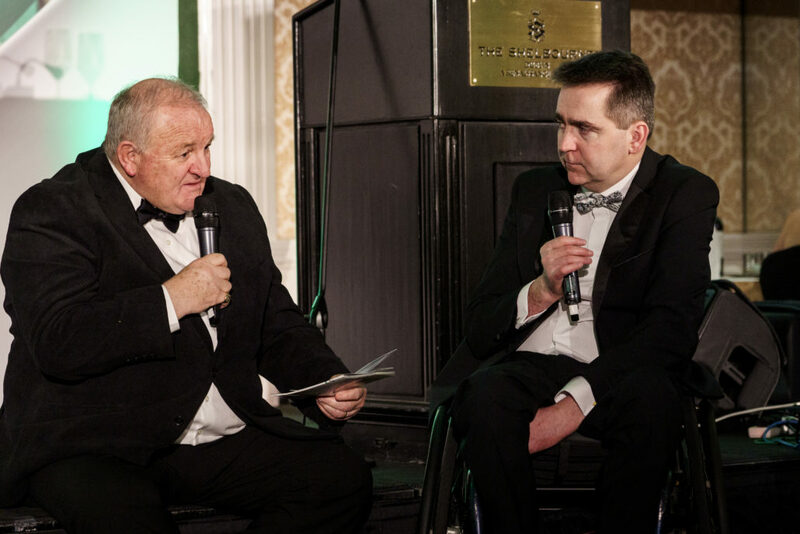 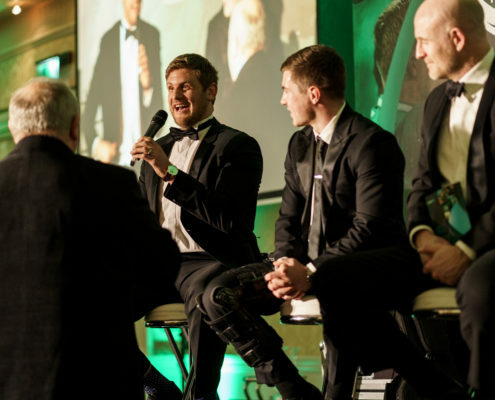 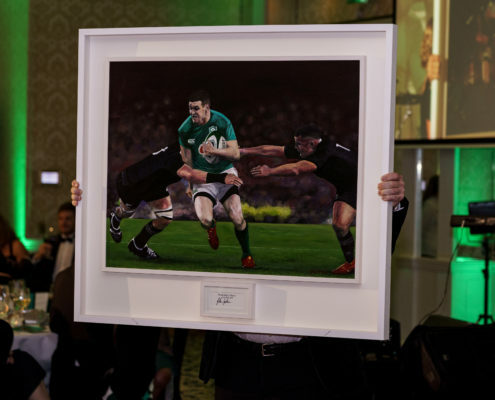 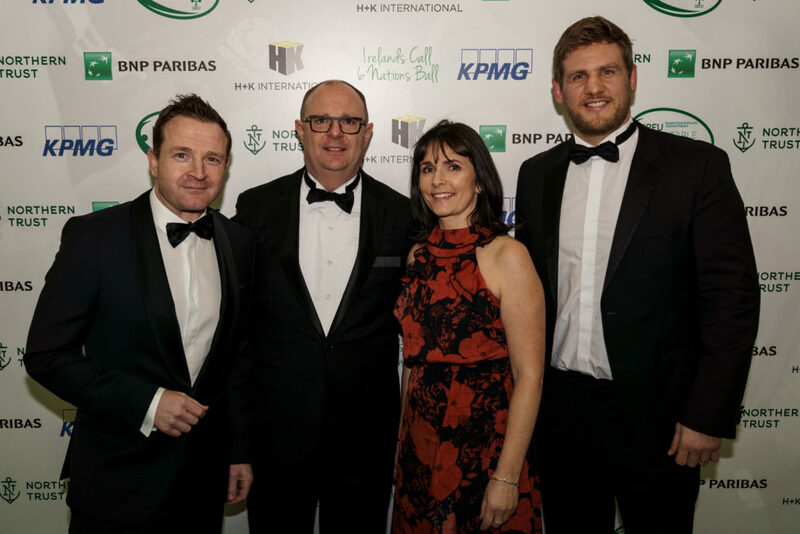 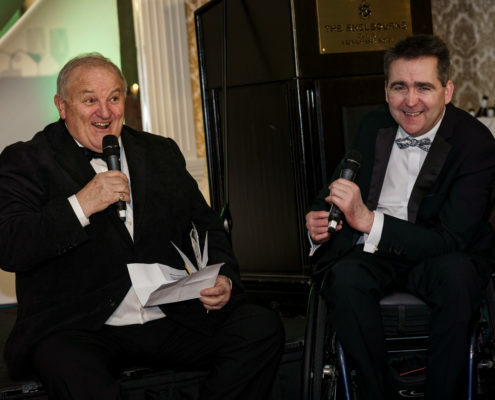 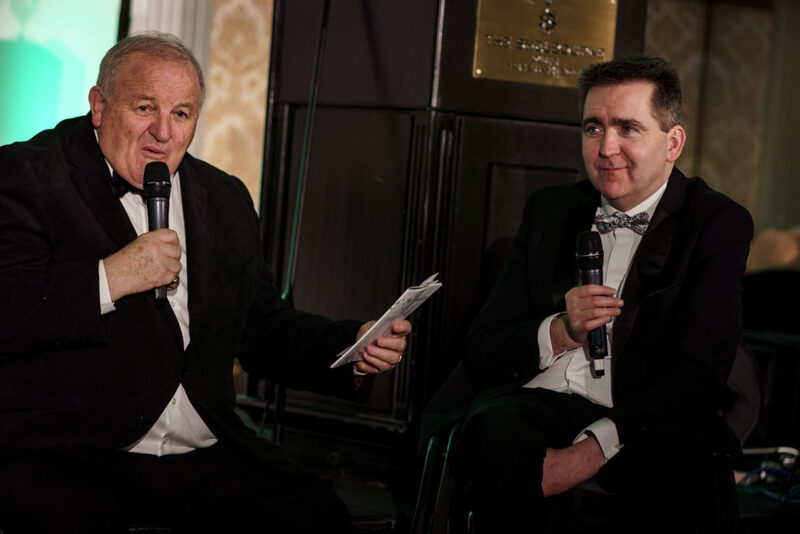 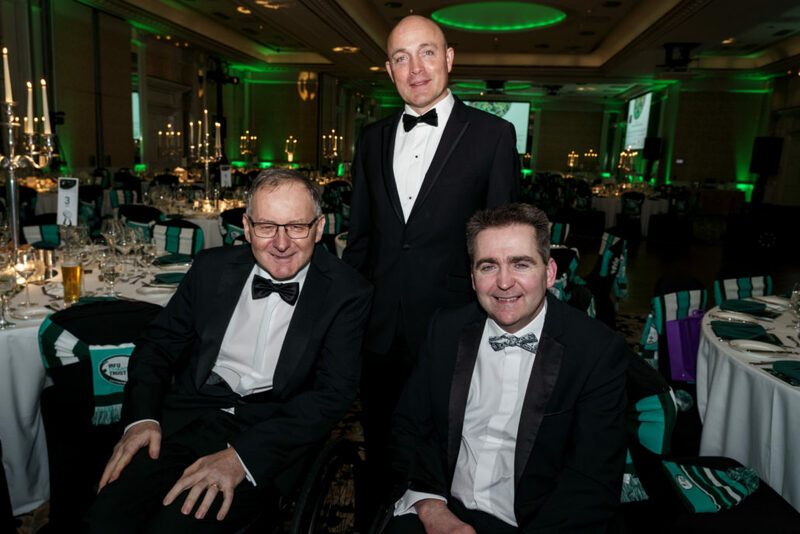 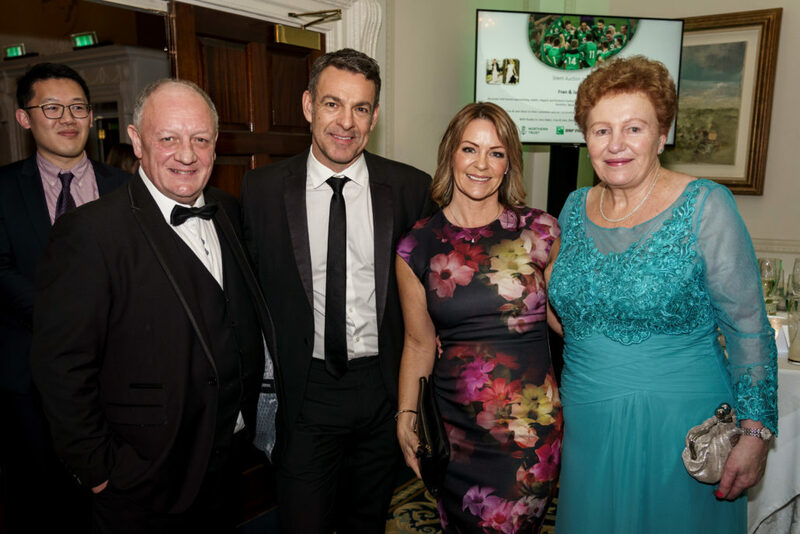 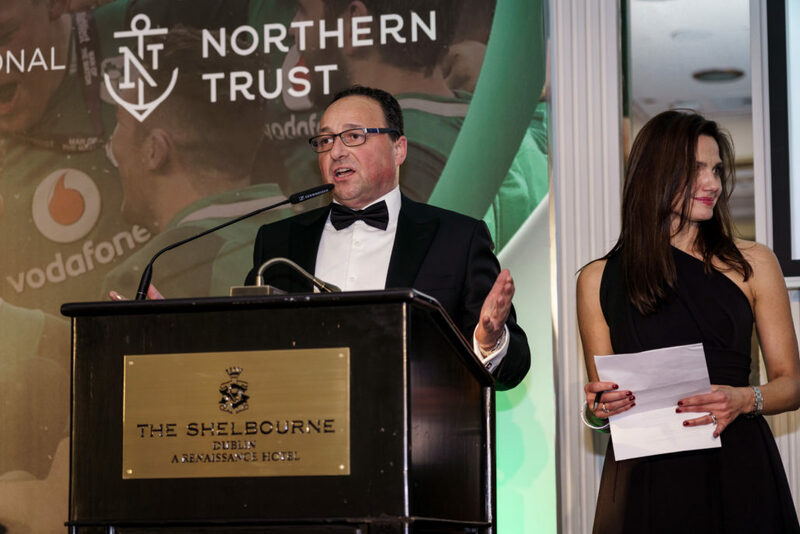 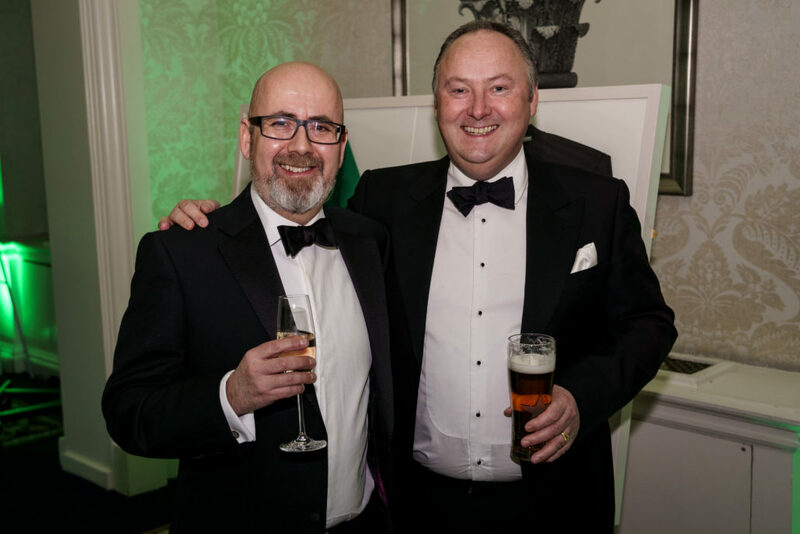 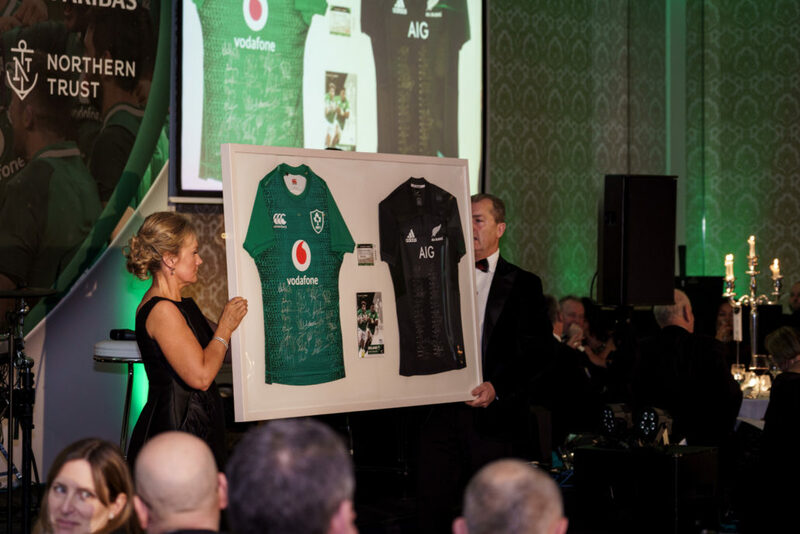 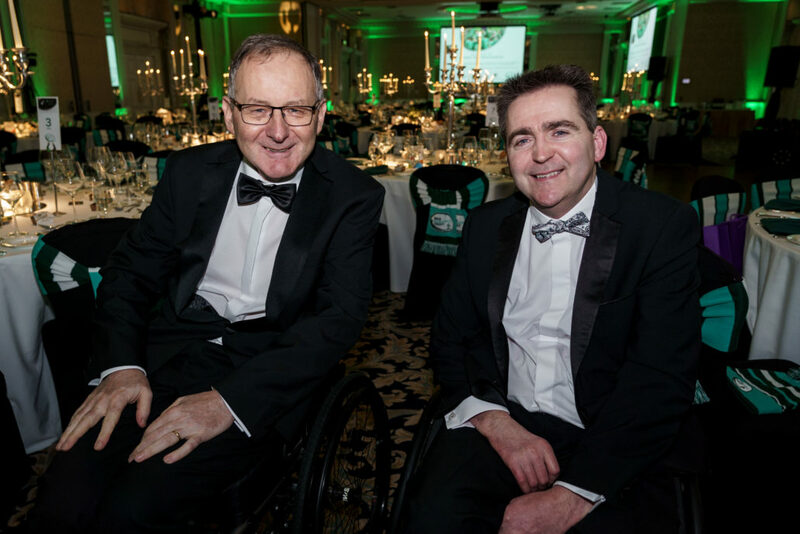 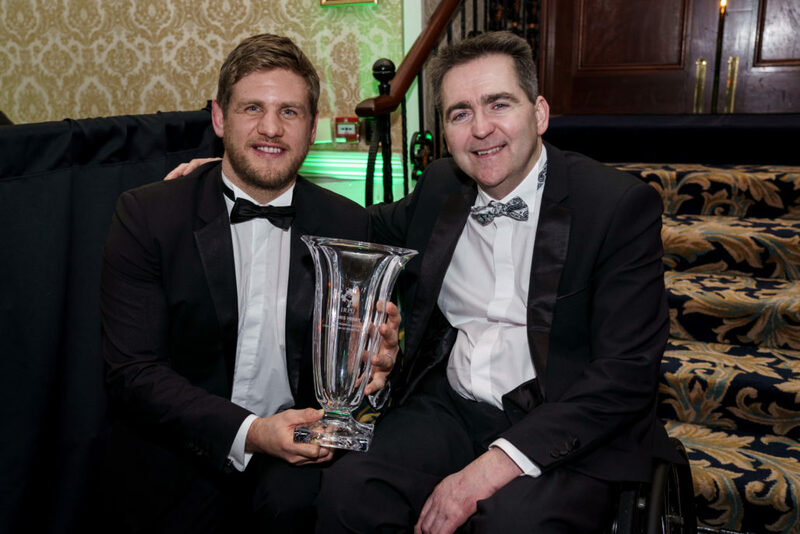 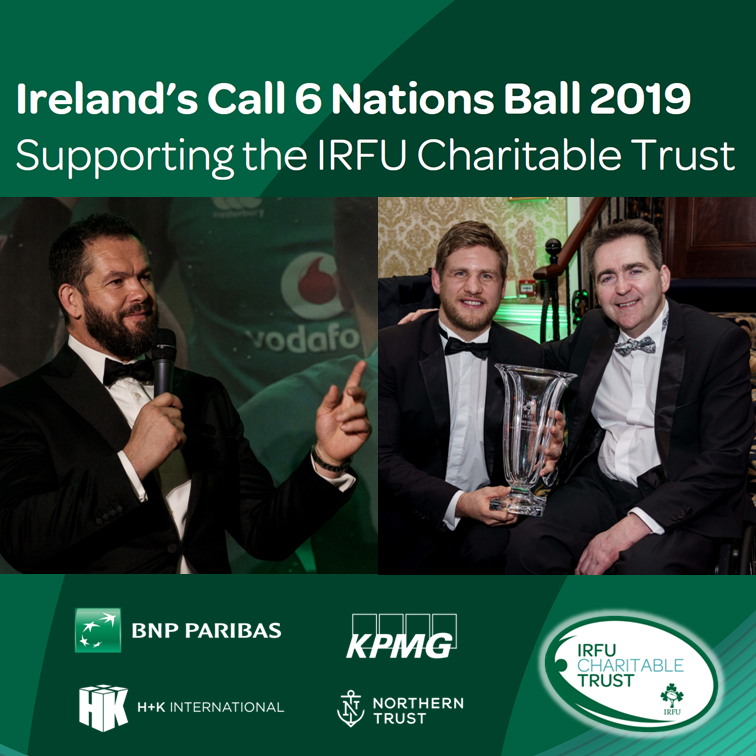 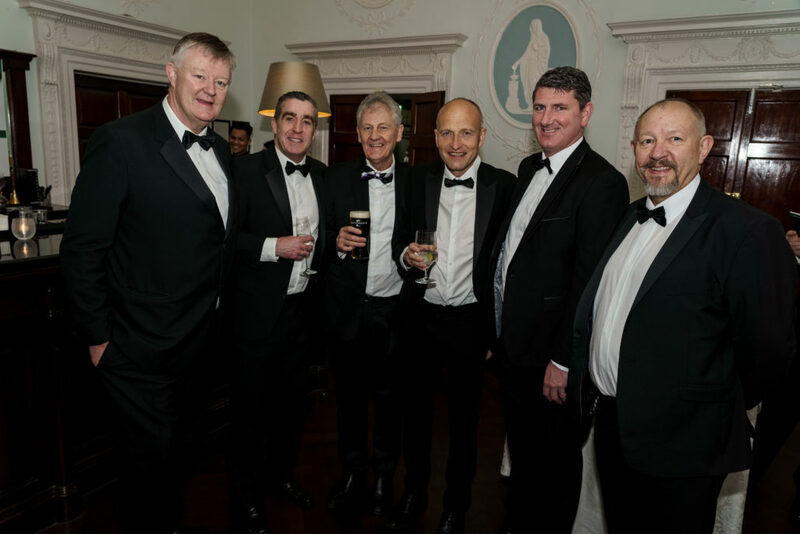 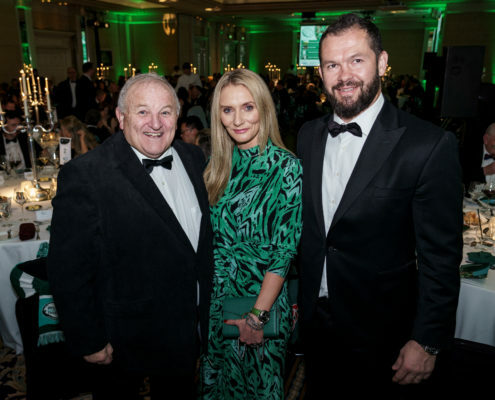 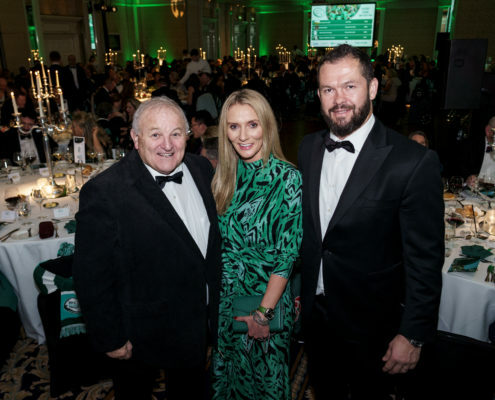 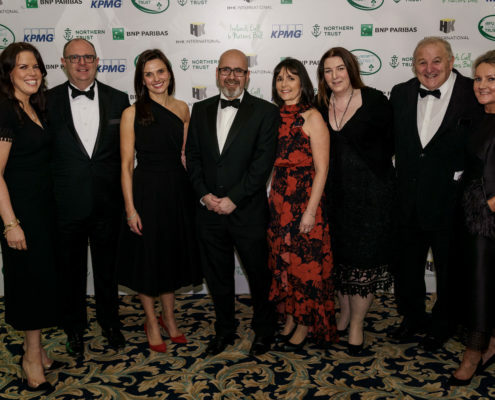 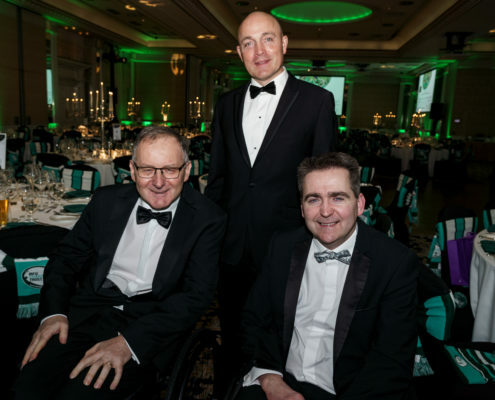 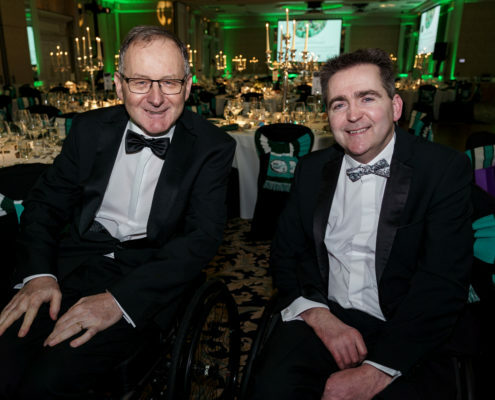 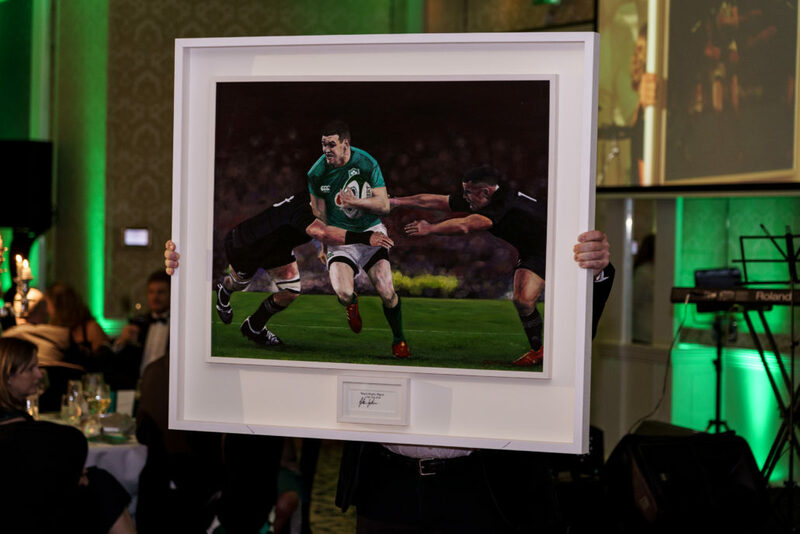 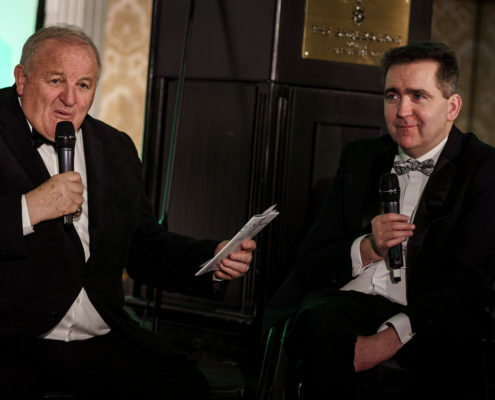 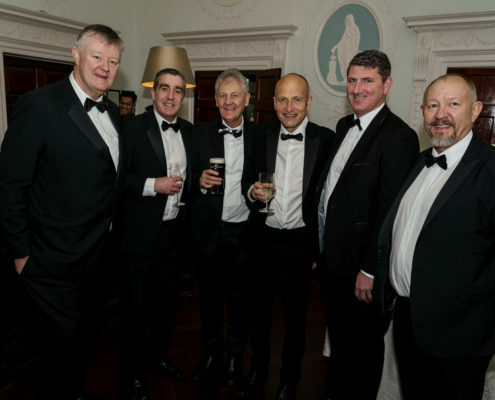 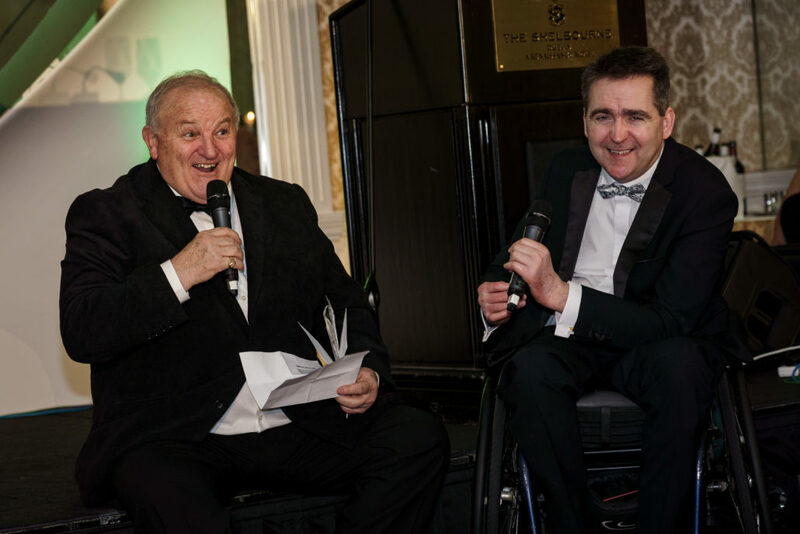 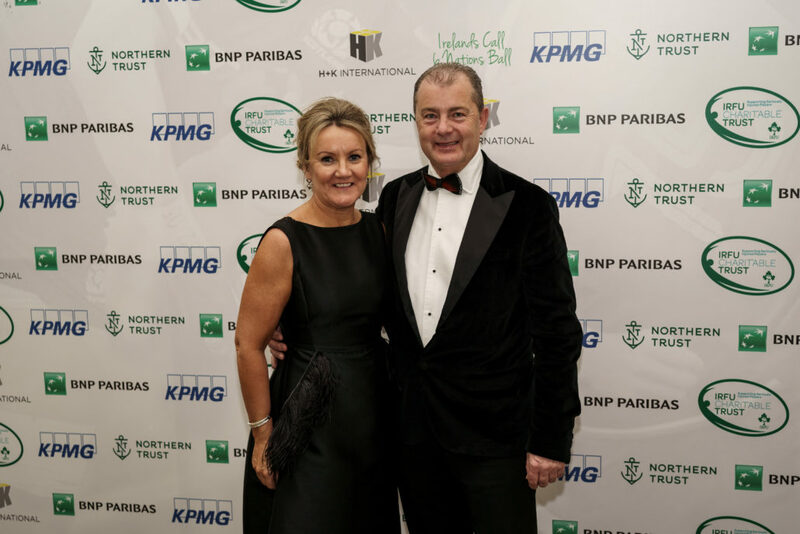 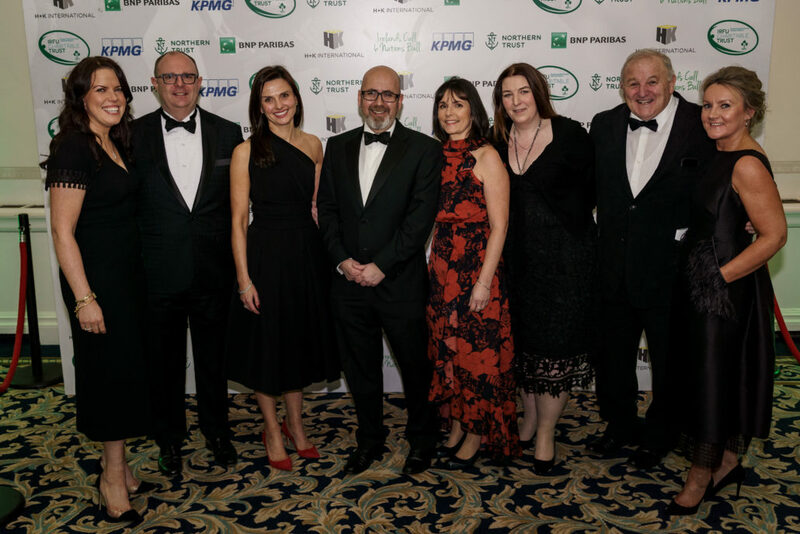 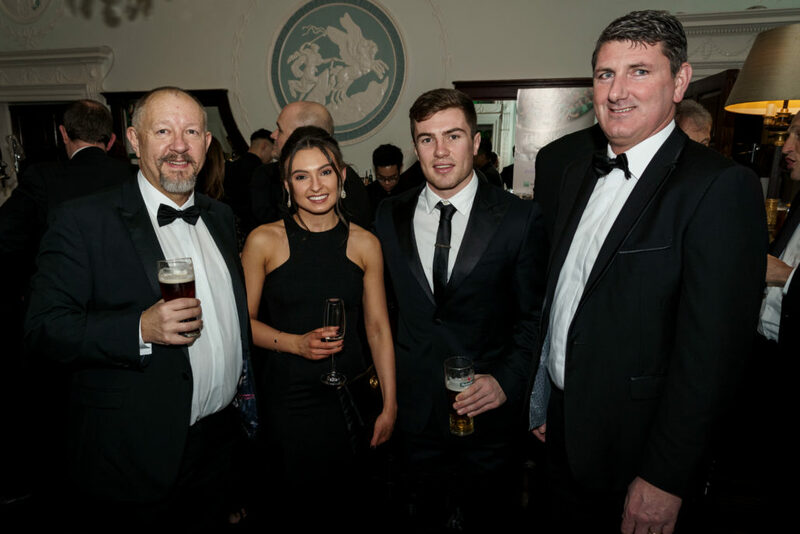 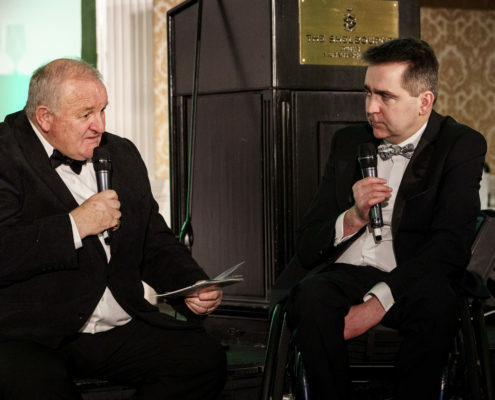 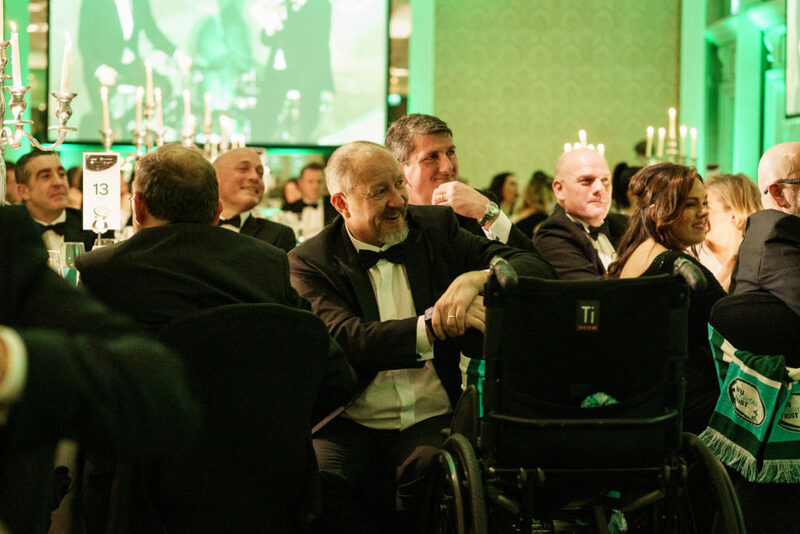 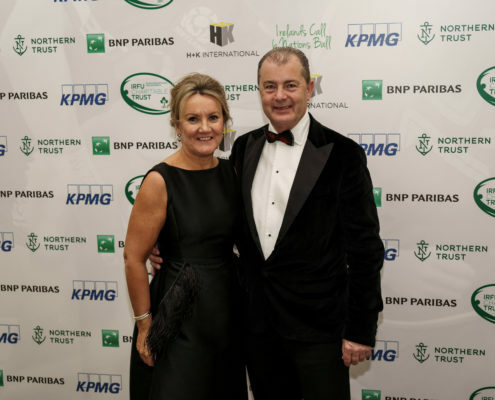 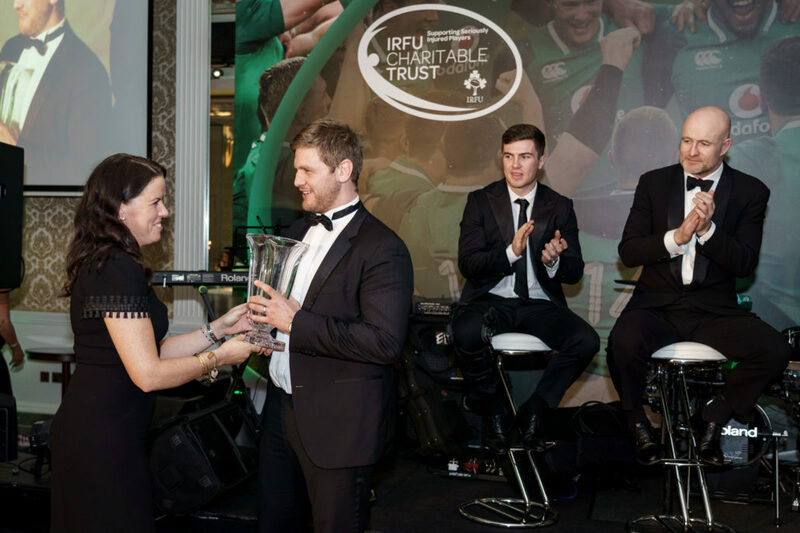 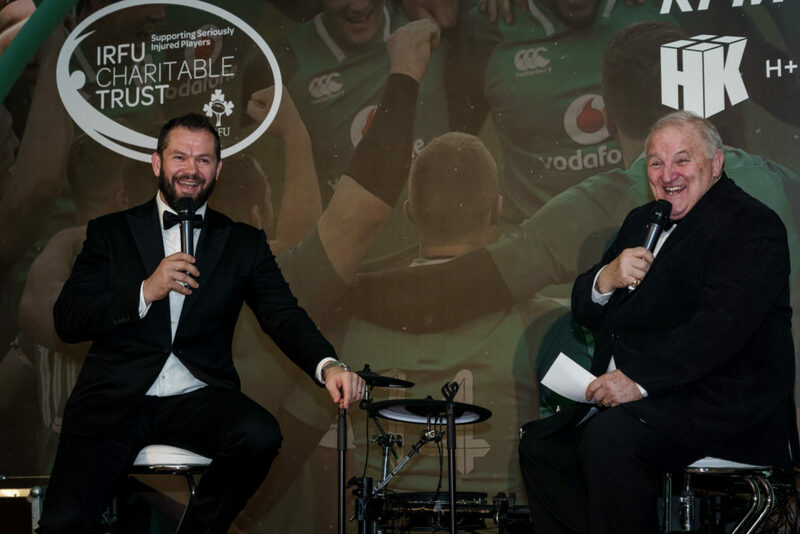 On a more serious note, our sole purpose on the night was to raise vital funds for the IRFU Charitable Trust and the reality of life for our injured players was highlighted by Mike Scott who received a life changing injury whilst playing rugby in his youth. 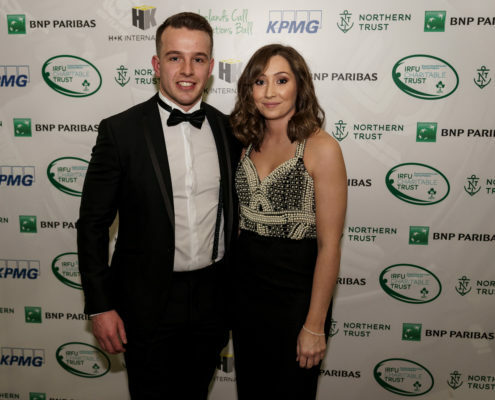 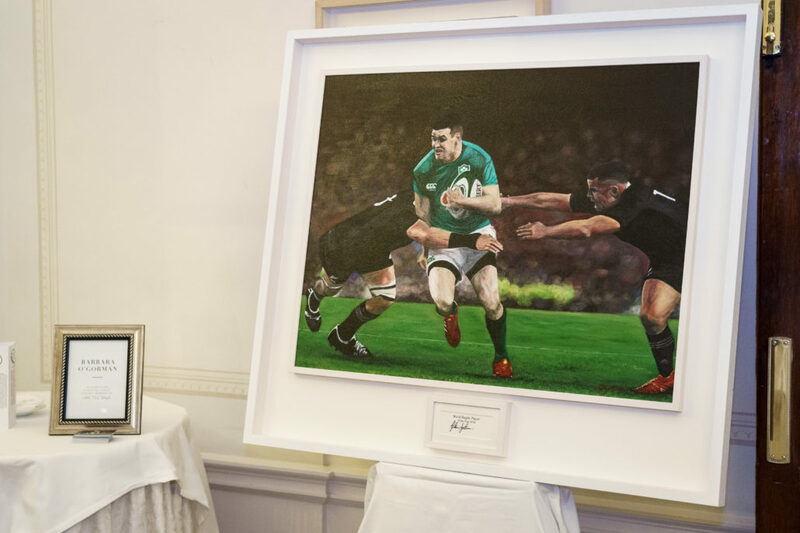 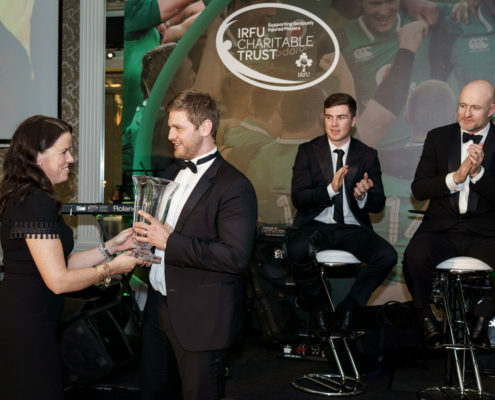 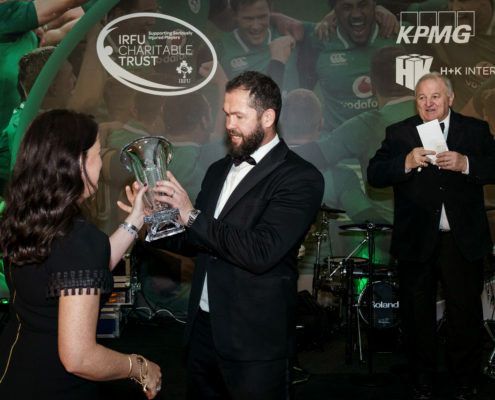 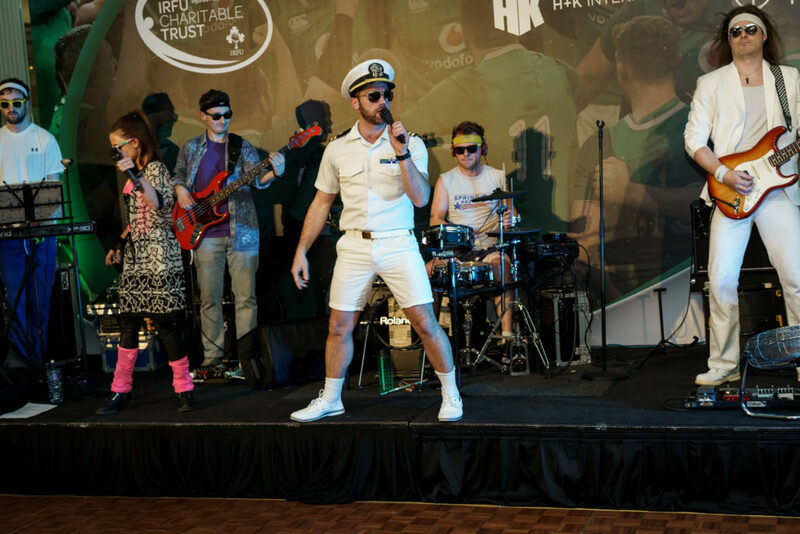 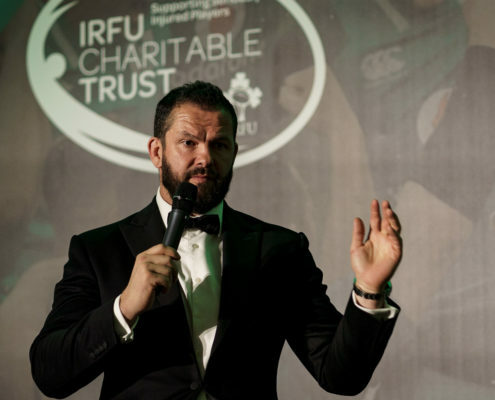 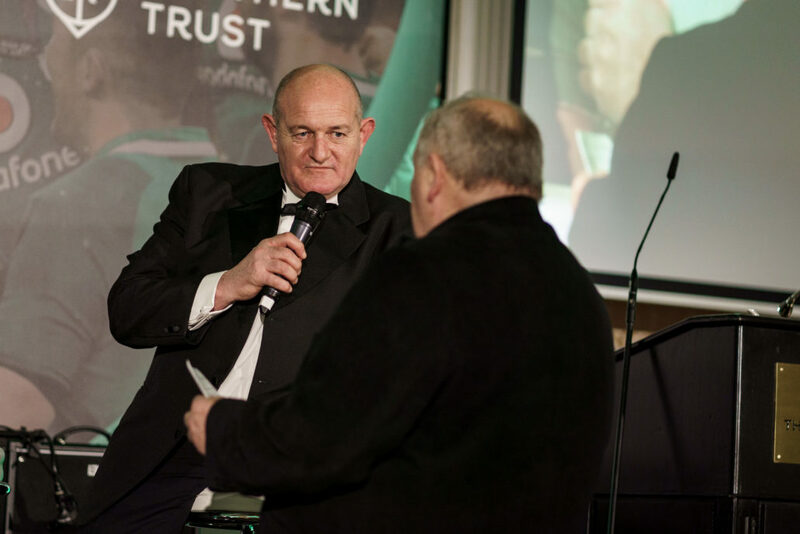 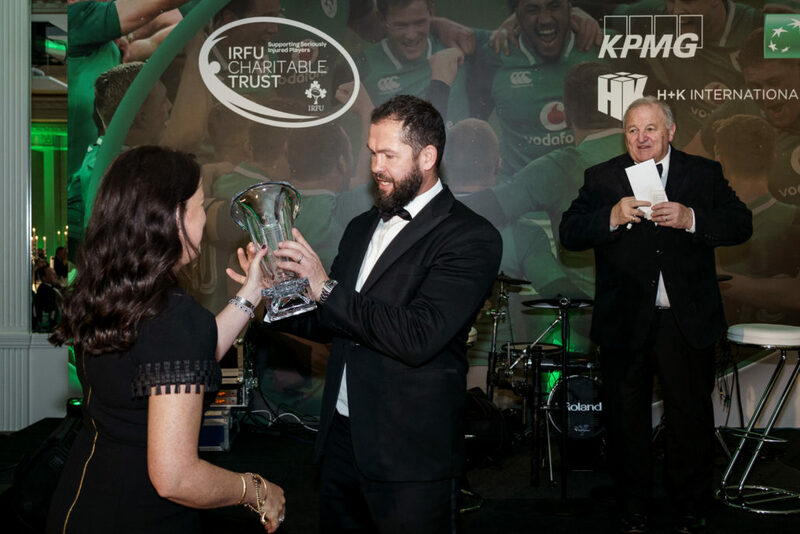 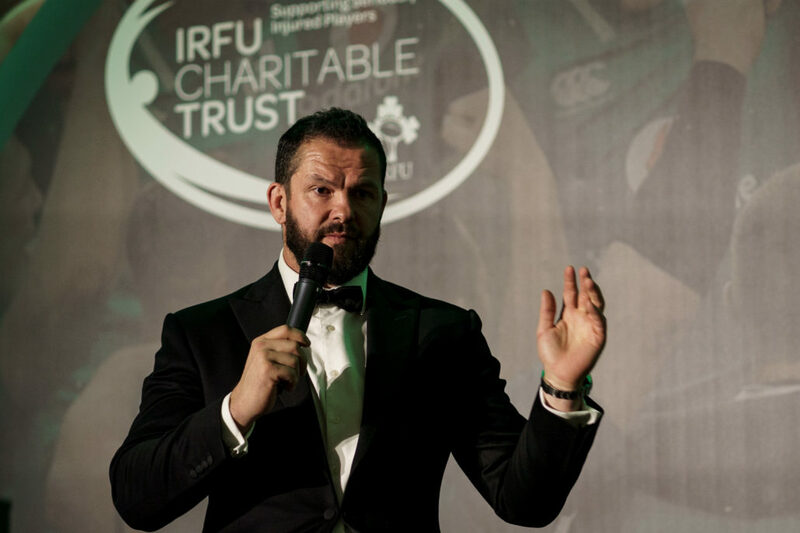 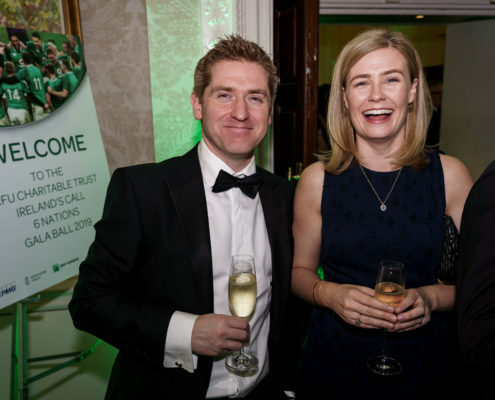 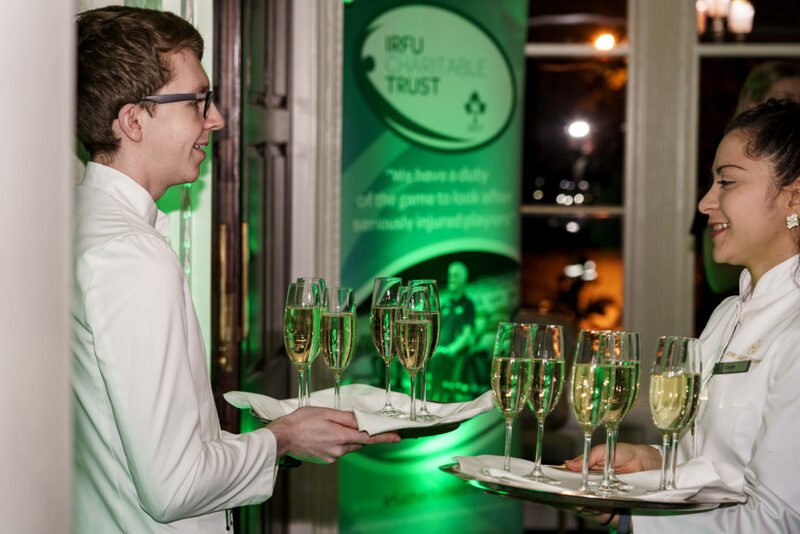 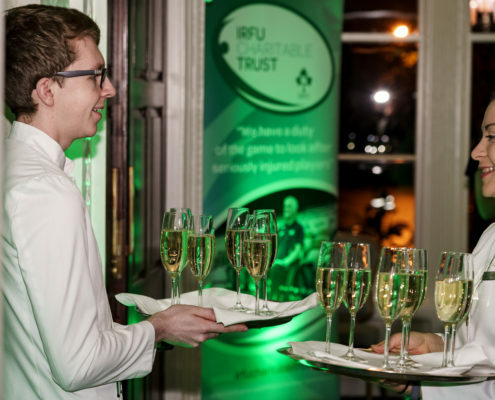 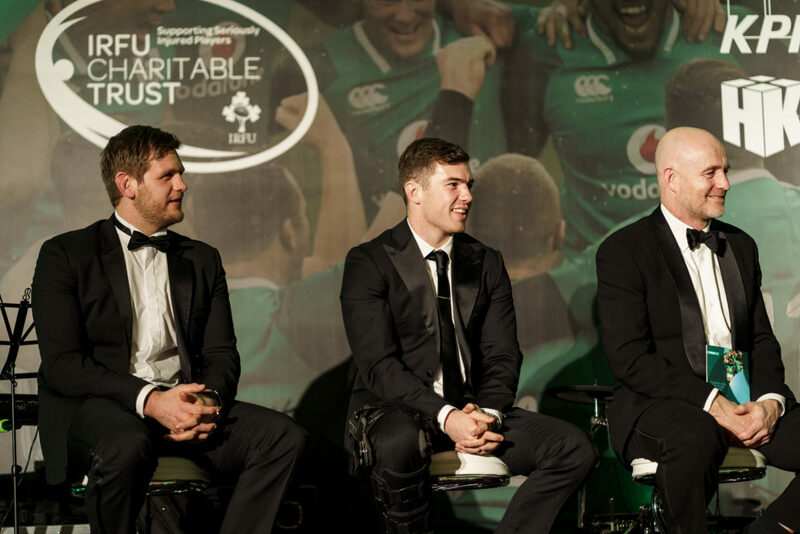 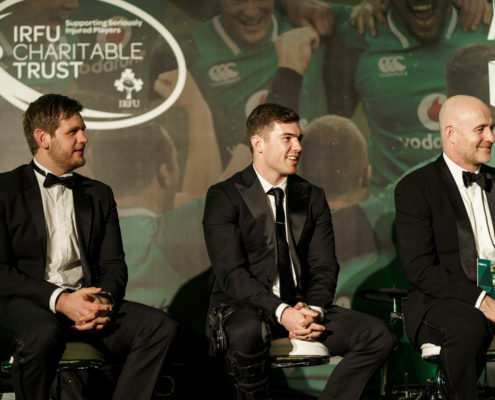 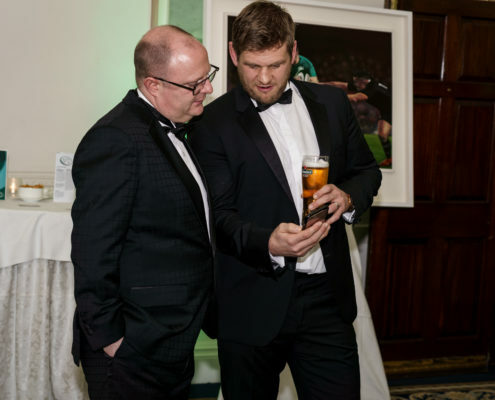 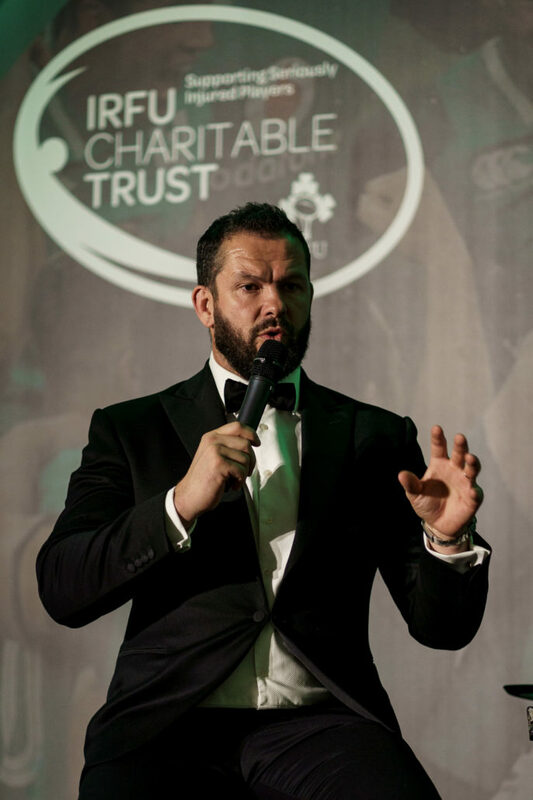 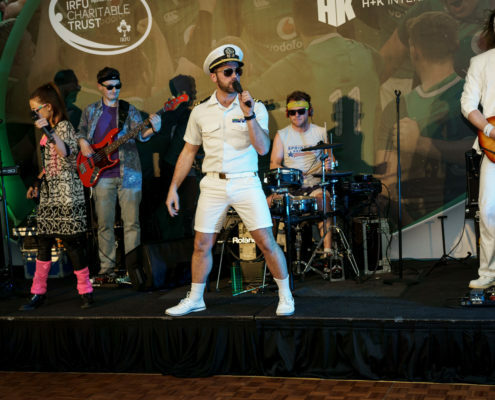 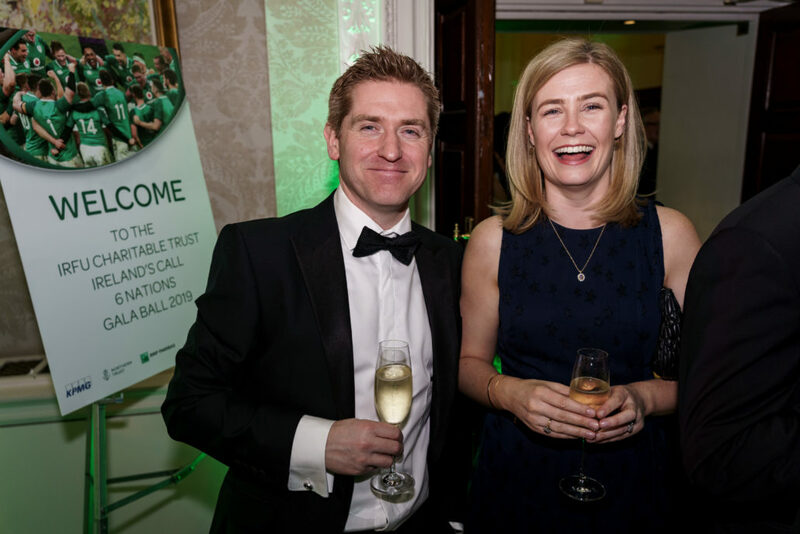 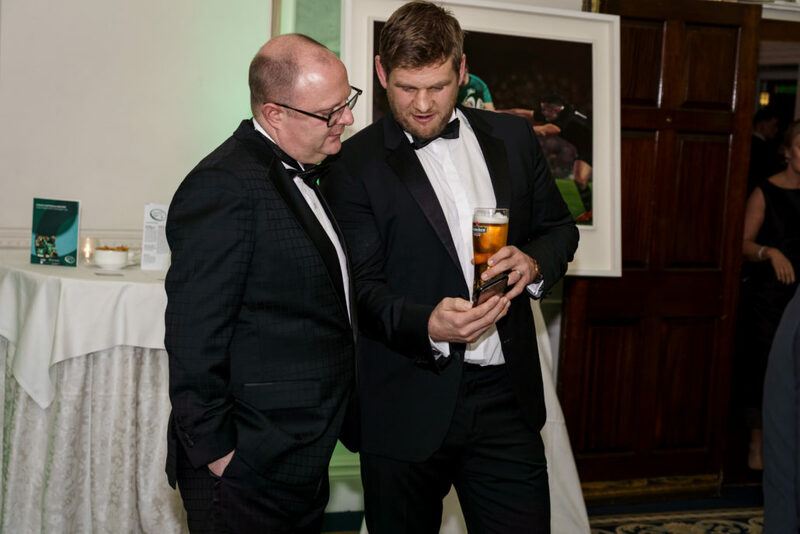 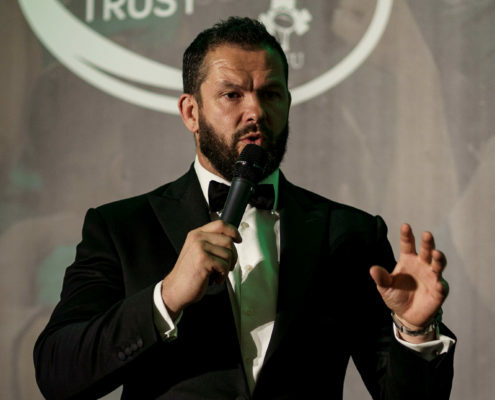 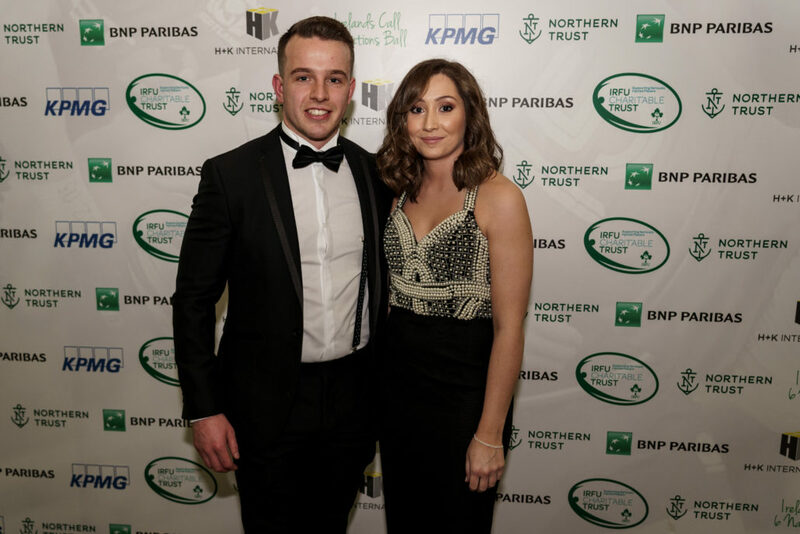 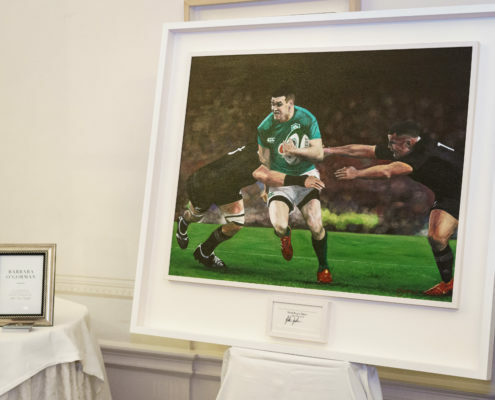 During his interview Mike was able to explain what life is like on a day to day basis for him and to detail the assistance he has been able to receive from the IRFU Charitable Trust. 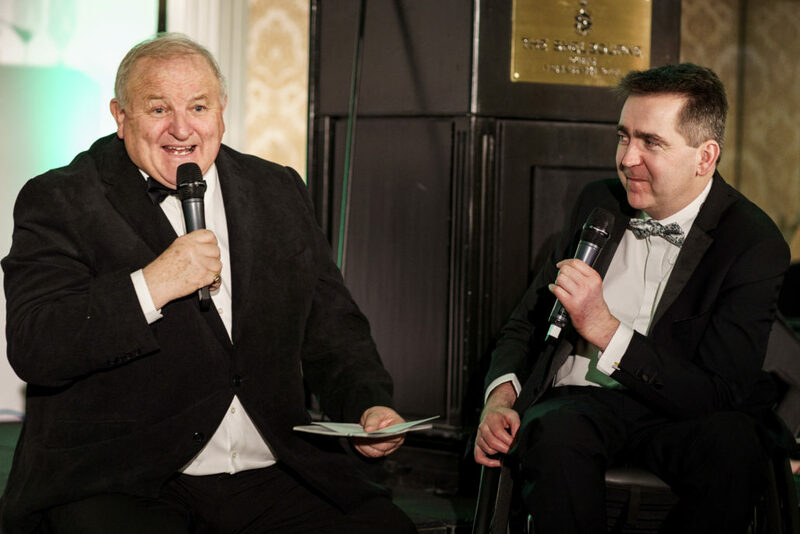 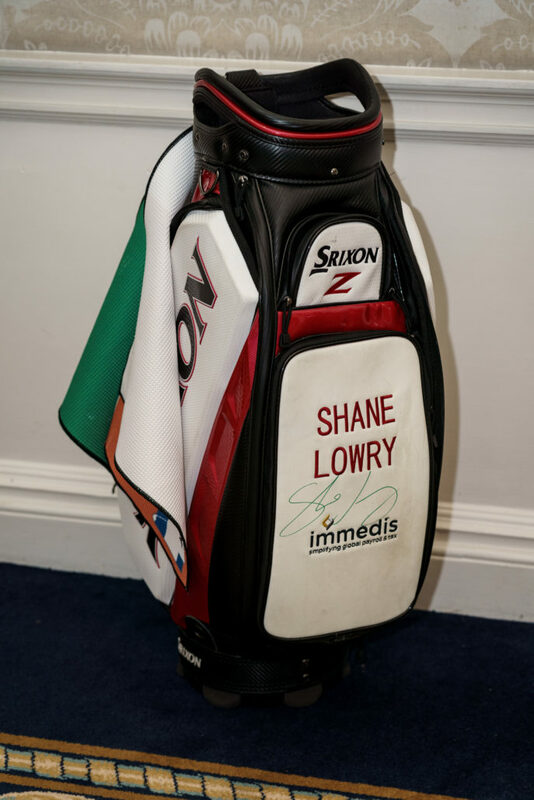 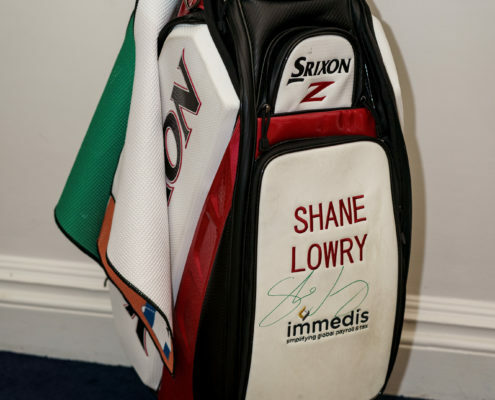 We are delighted to announce that we raised €110,000 during the night which will have a tremendous impact on our fund raising for the year and will enable us to provide valuable assistance to those players who have been injured. 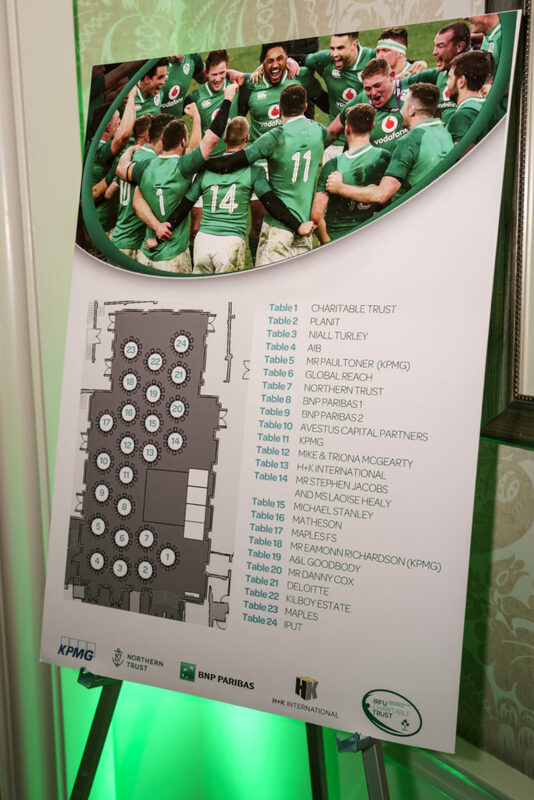 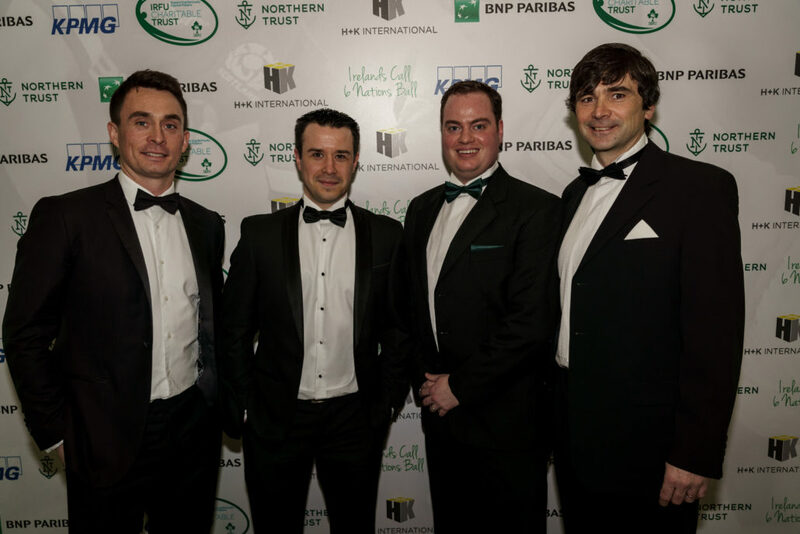 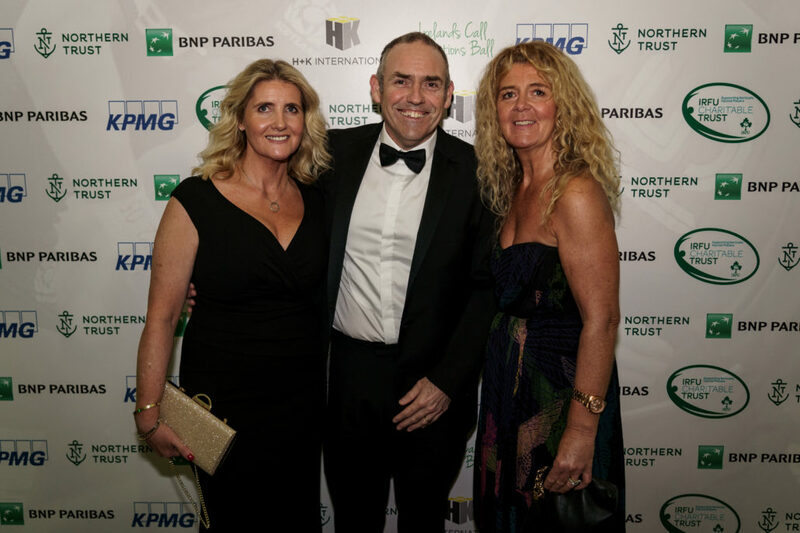 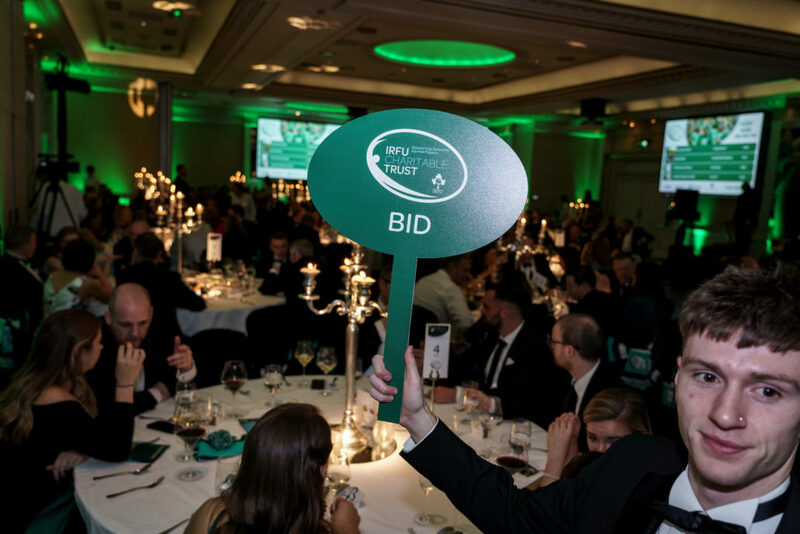 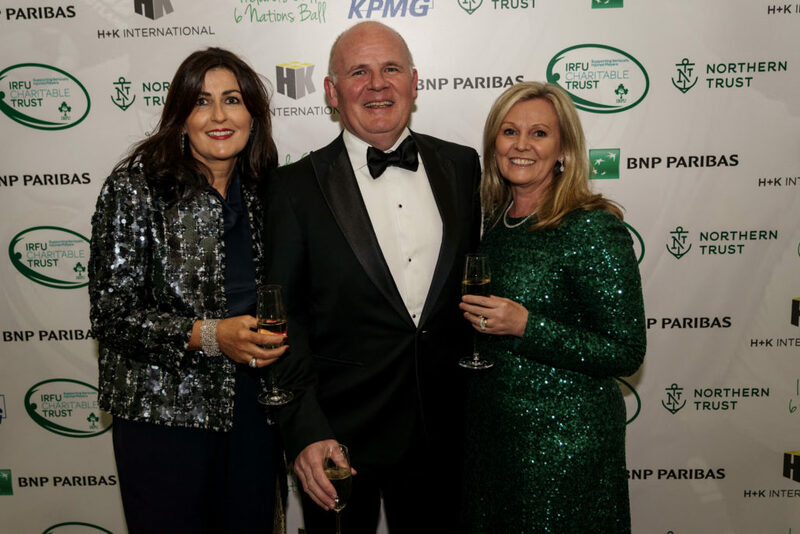 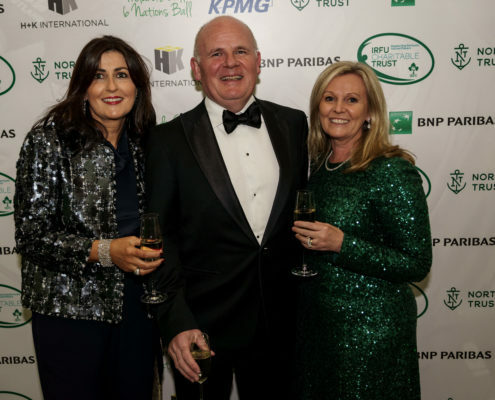 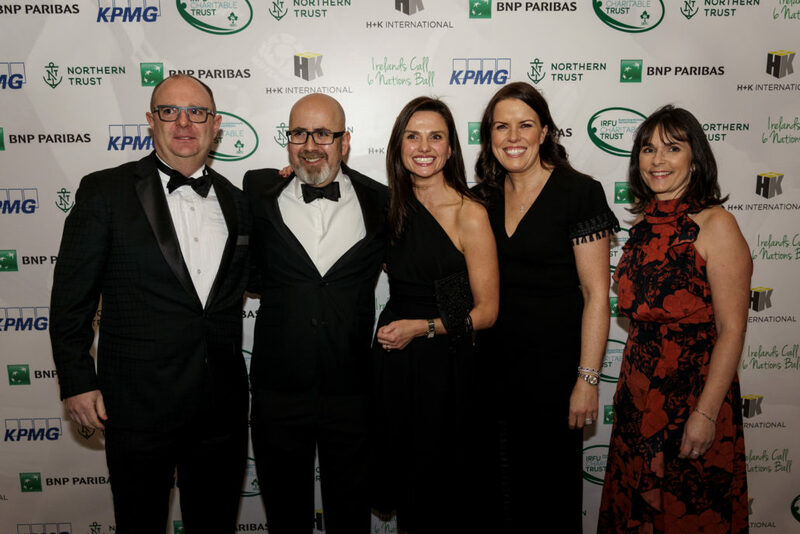 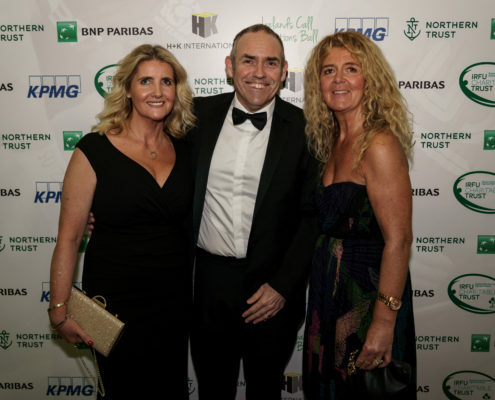 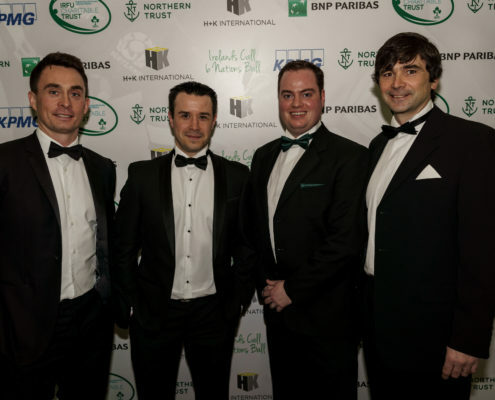 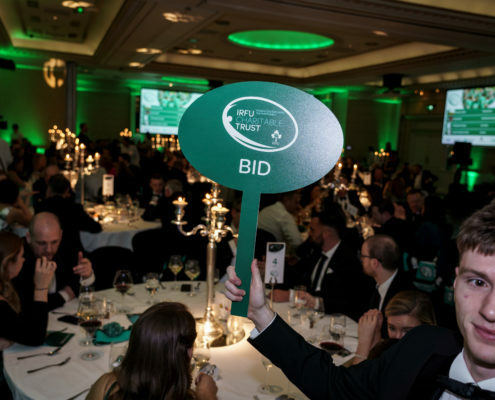 We would like to thank our main sponsors KPMG, Northern Trust, BNP Paribas and H+K International and also those who provided auction prizes and table spot prizes on the night. 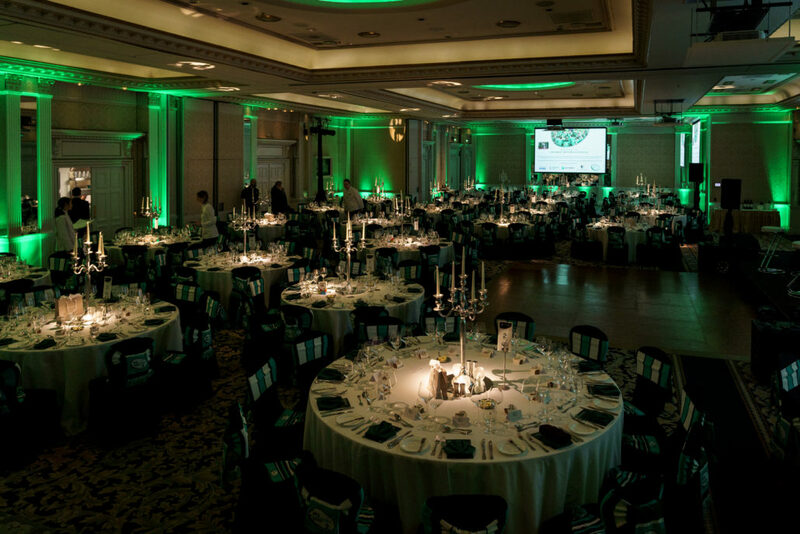 We hope you all enjoyed your night in The Shelbourne Hotel and look forward to welcoming you again in 2020.